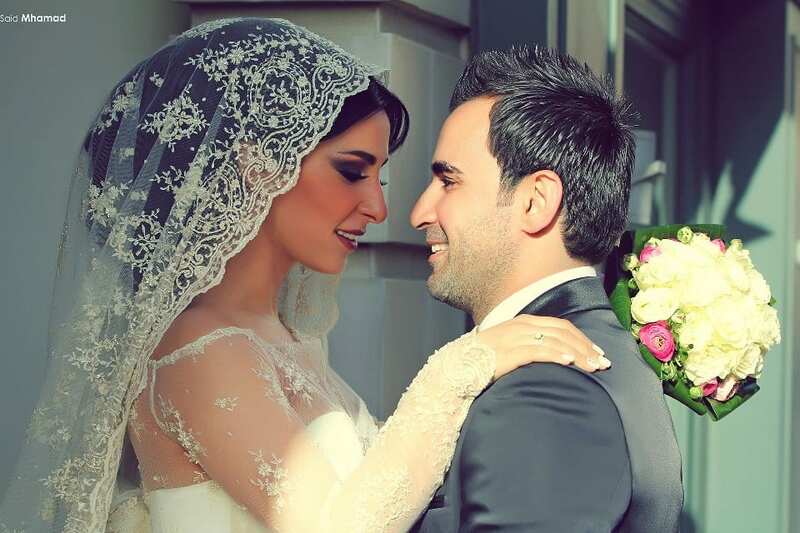 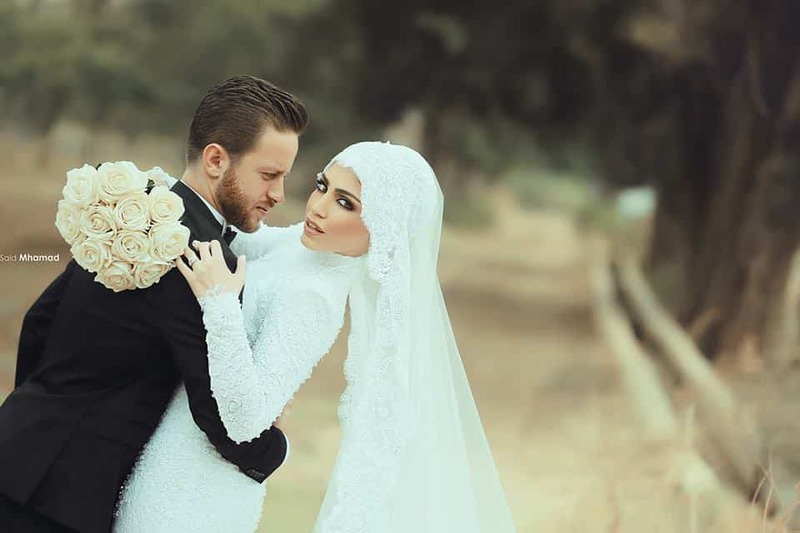 This collection of 150 Most Romantic Muslim Couples Islamic Wedding Pictures will amaze you with how romantic the bride and groom can look for their Islamic wedding. 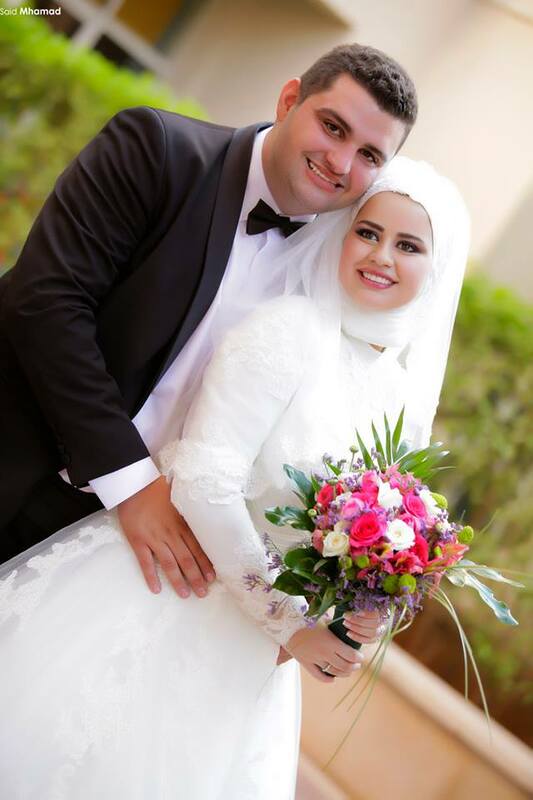 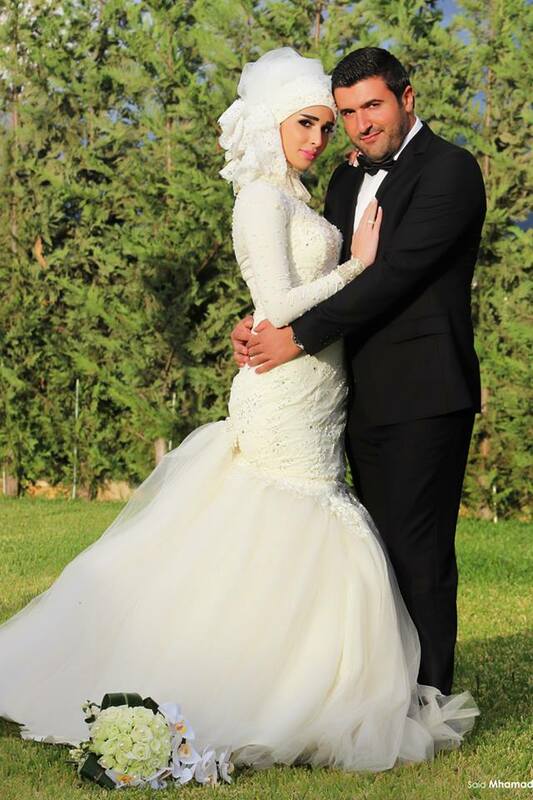 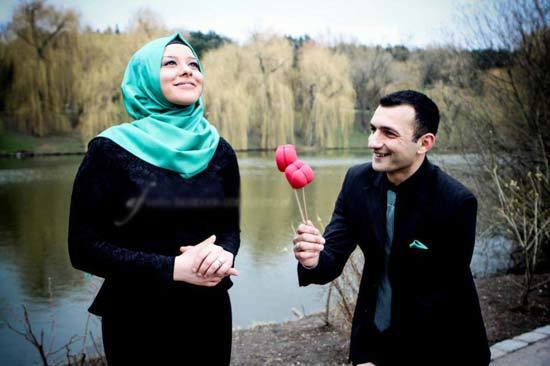 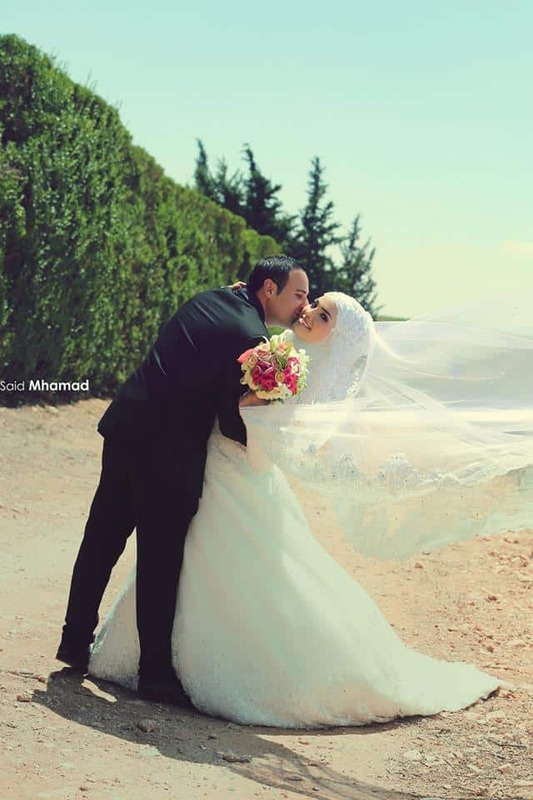 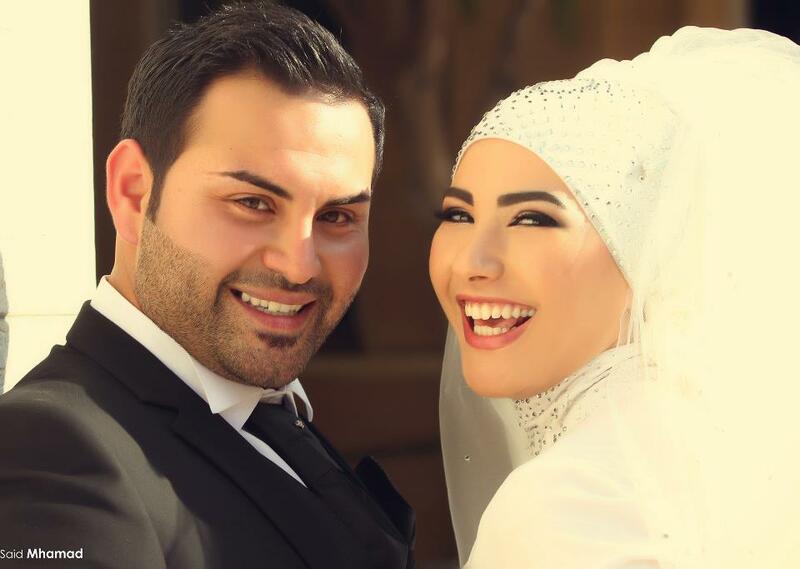 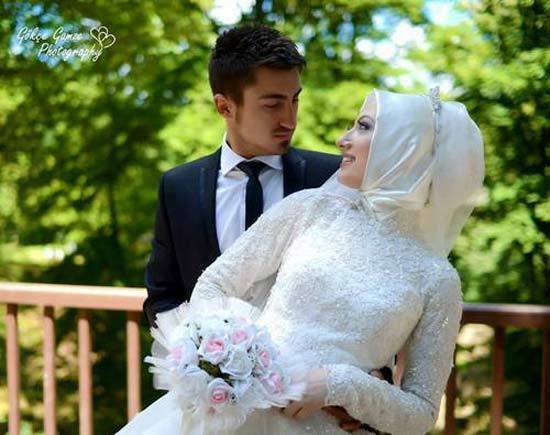 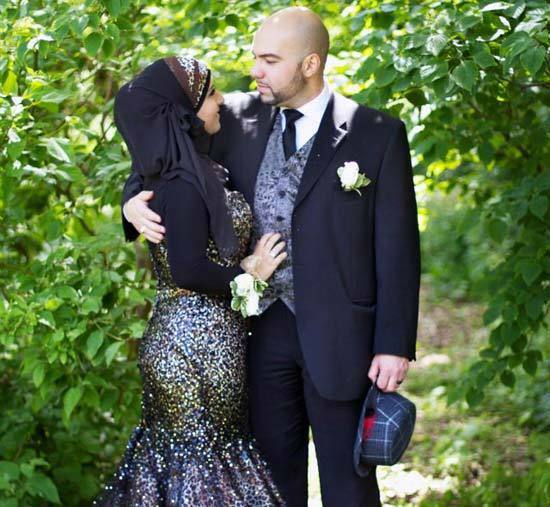 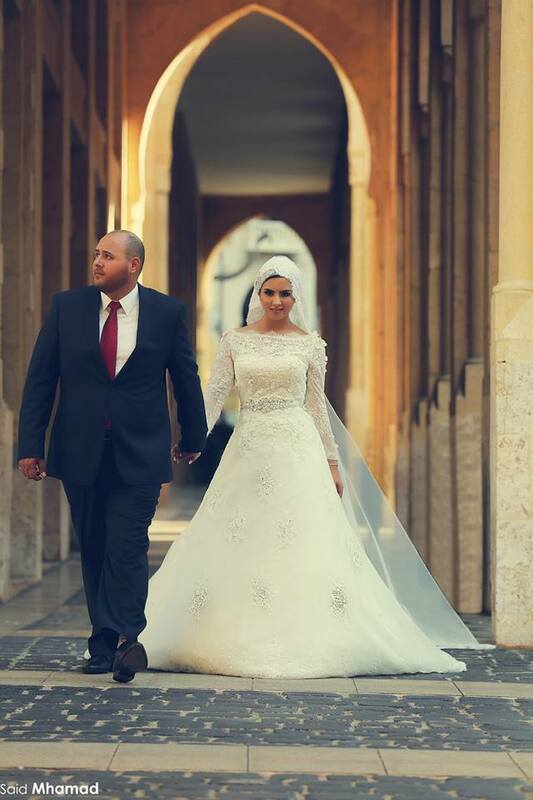 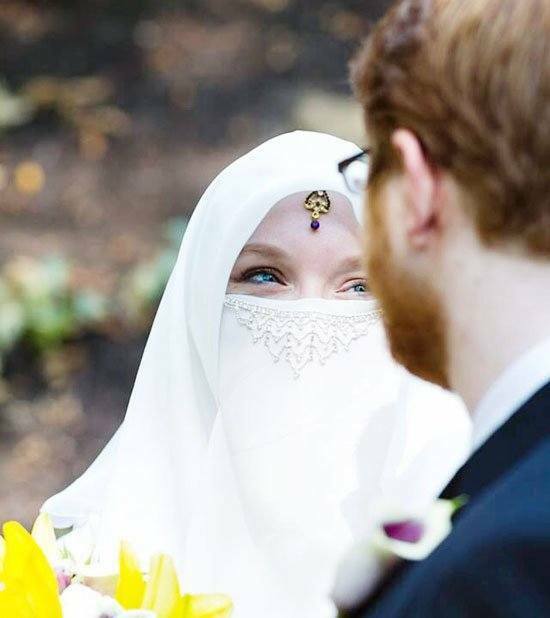 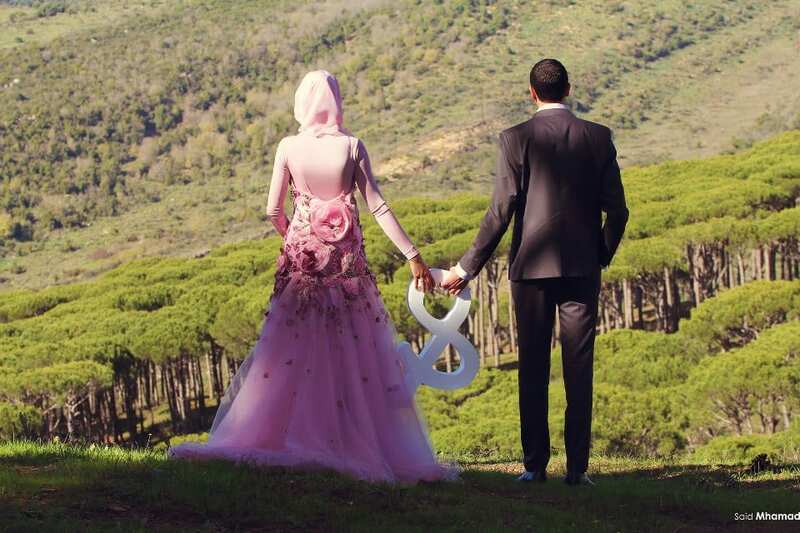 We collected these pictures of Muslim couples wearing cute Islamic wedding dresses, from all over the world and sorted out the best 150 for you. 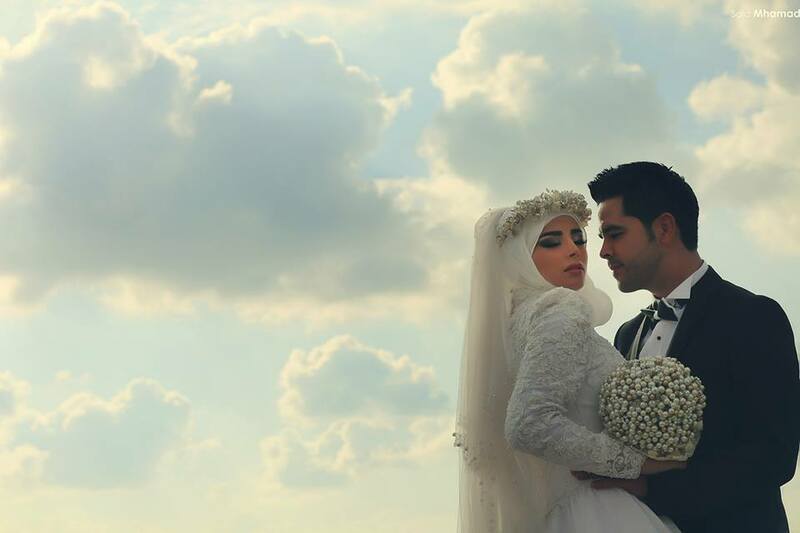 If your big day is soon and you are planning to have some exclusive pictures taken to record the best moments, then this collection will be of great help to you. 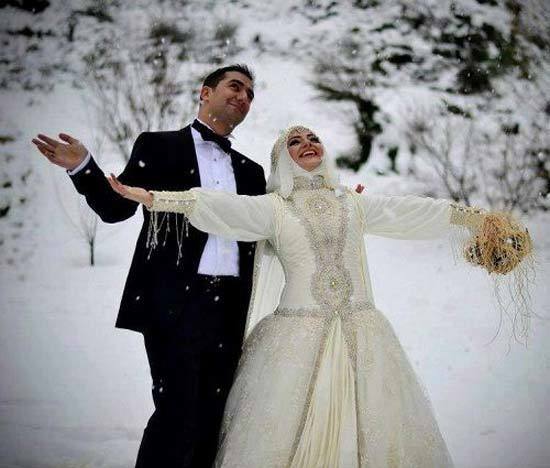 From these pictures, you can get ideas of what to wear for Islamic wedding, some stylish hijab wedding dress and much more. 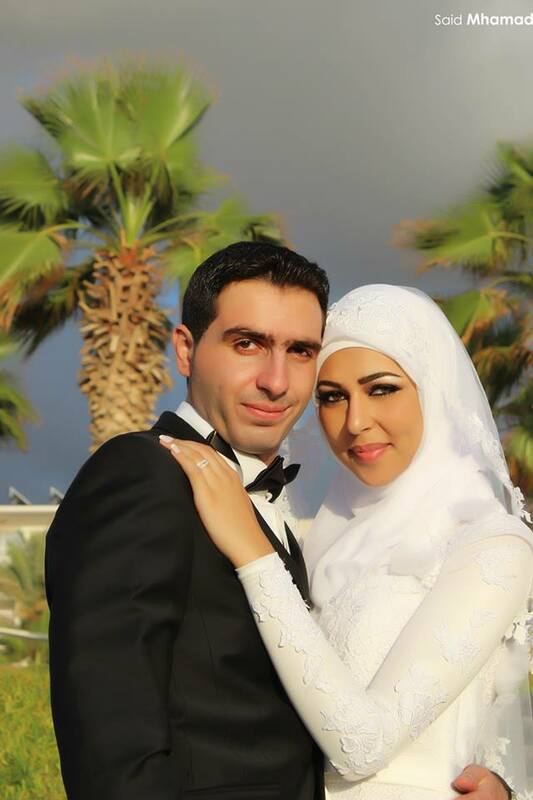 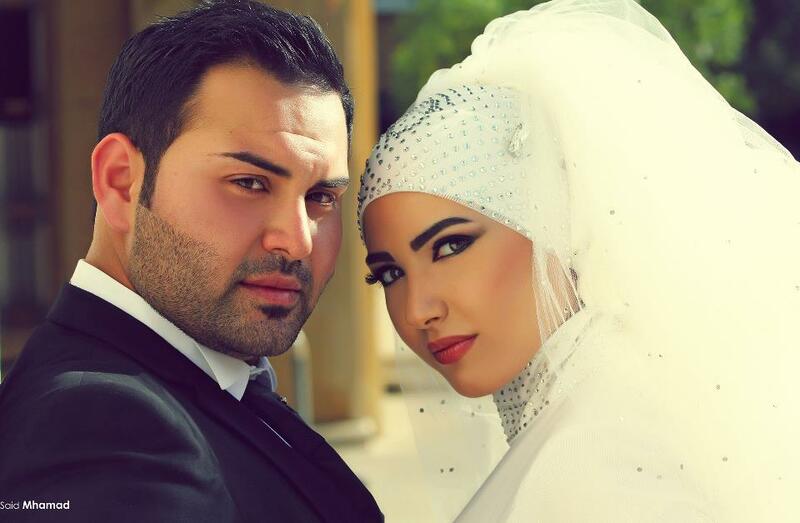 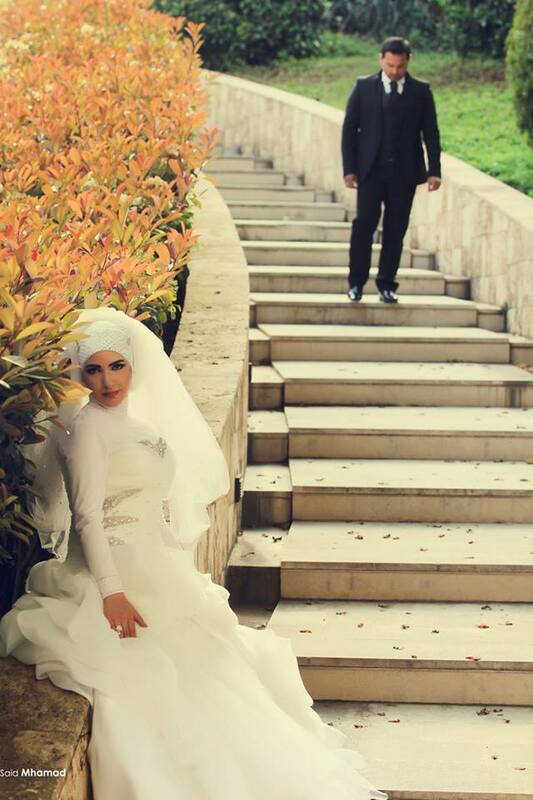 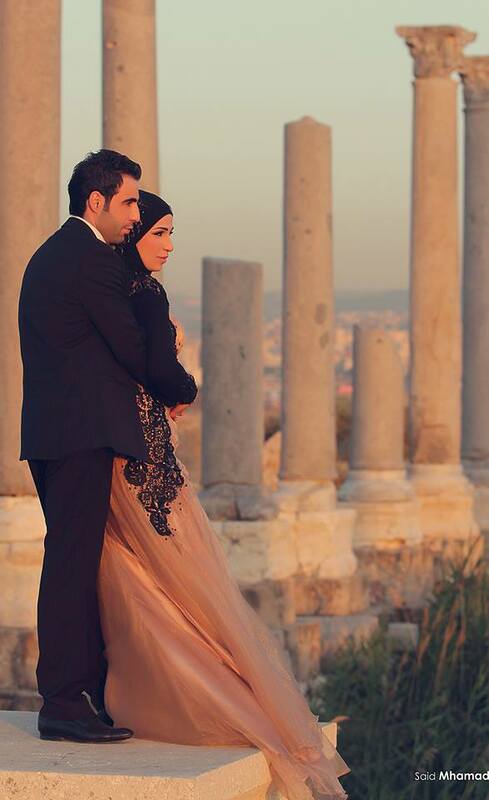 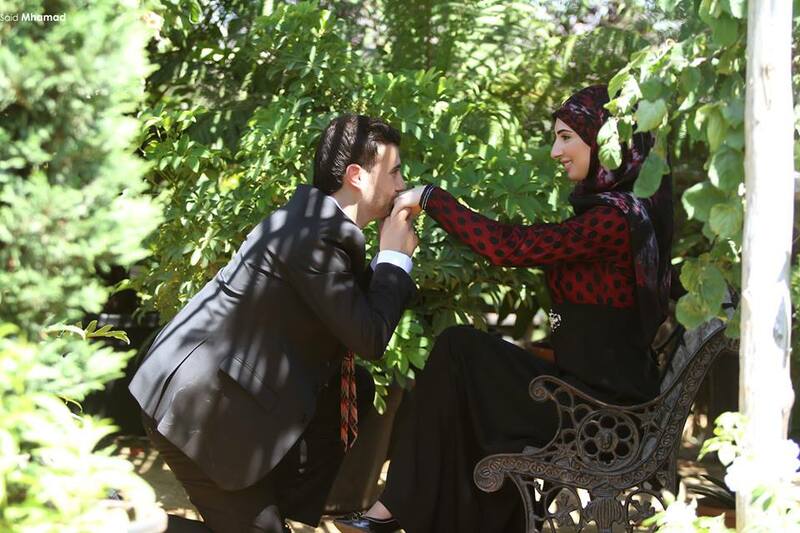 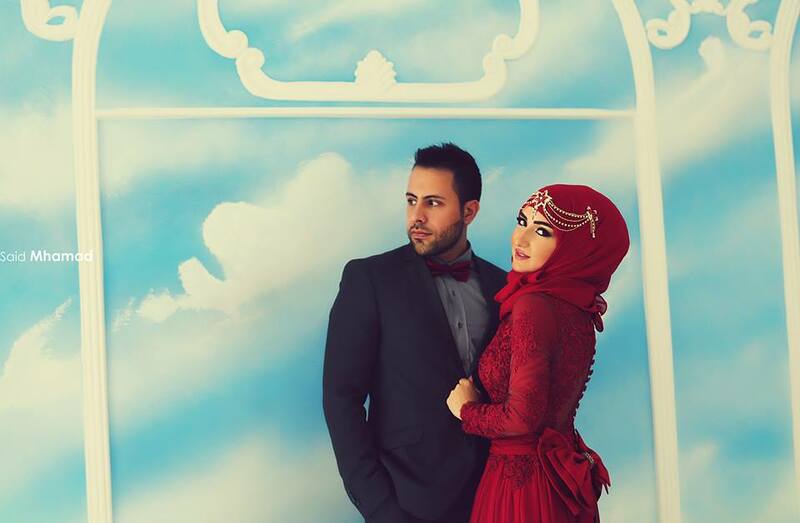 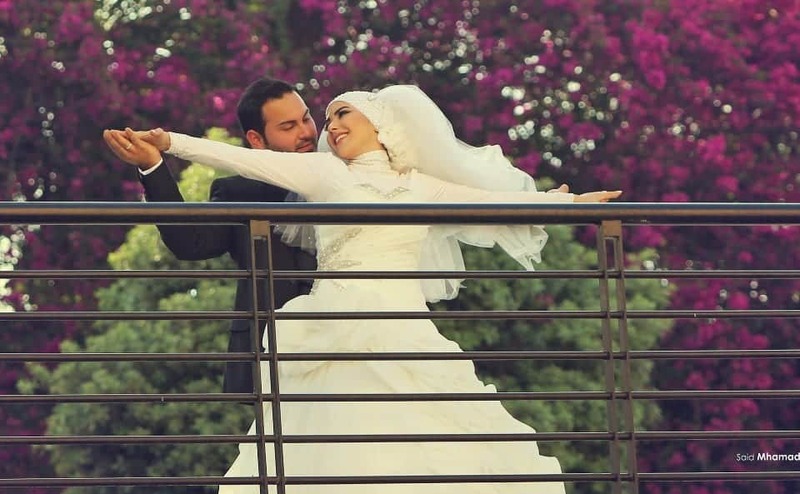 Many Muslim men and women are hesitant and confused when posing for their wedding photo-shoot. 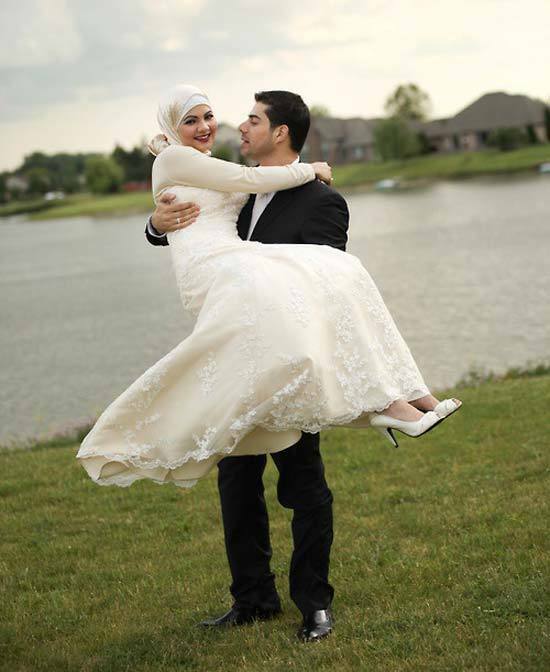 This article will be sure to convert you and your spouse-to-be into the most photogenic pair to be wed. 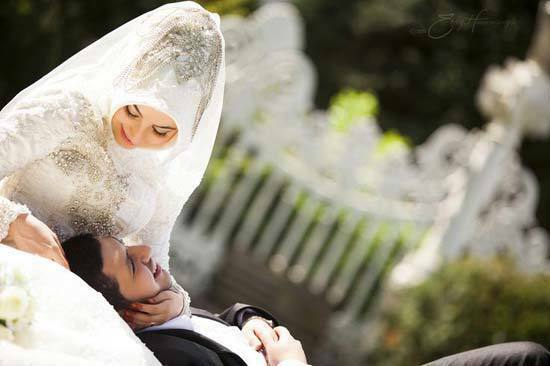 Weddings have great significance in Islam. 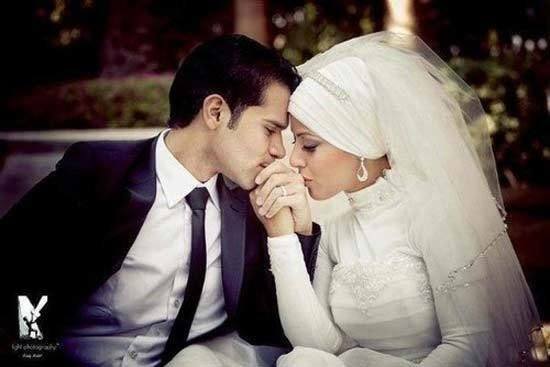 Islam encourages its followers to get married and enjoy the halal companionship, rather than indulging in sinful acts. 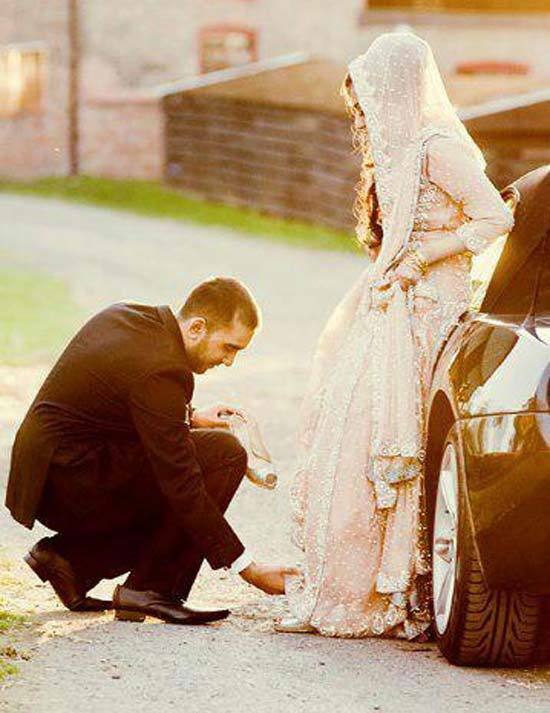 Couples are encouraged to respect and love each other and also fulfil all their responsibilities towards each other. 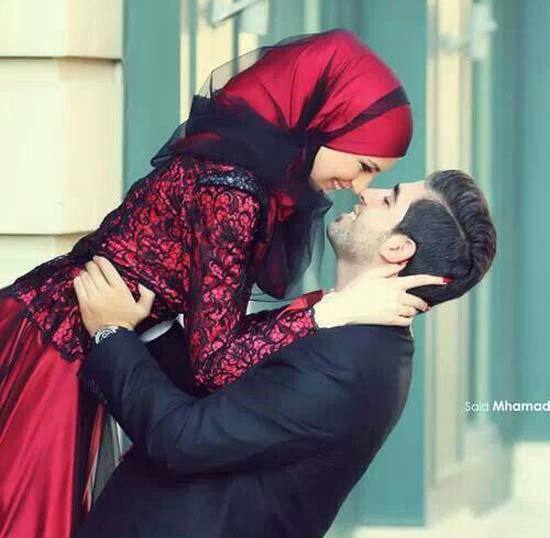 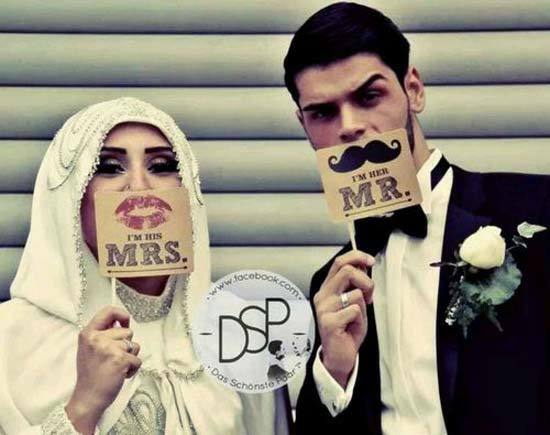 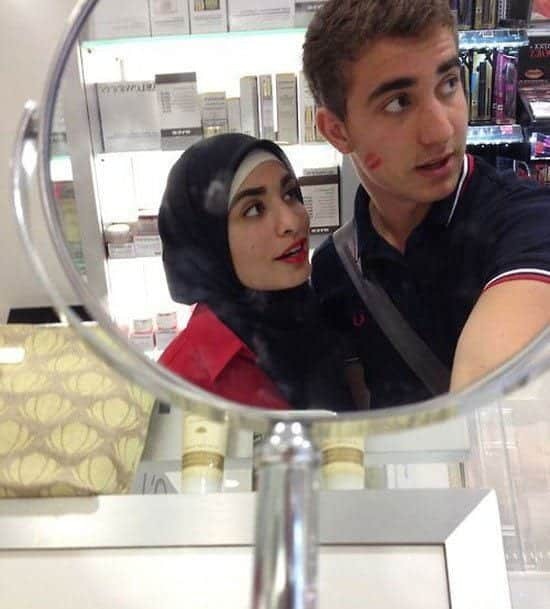 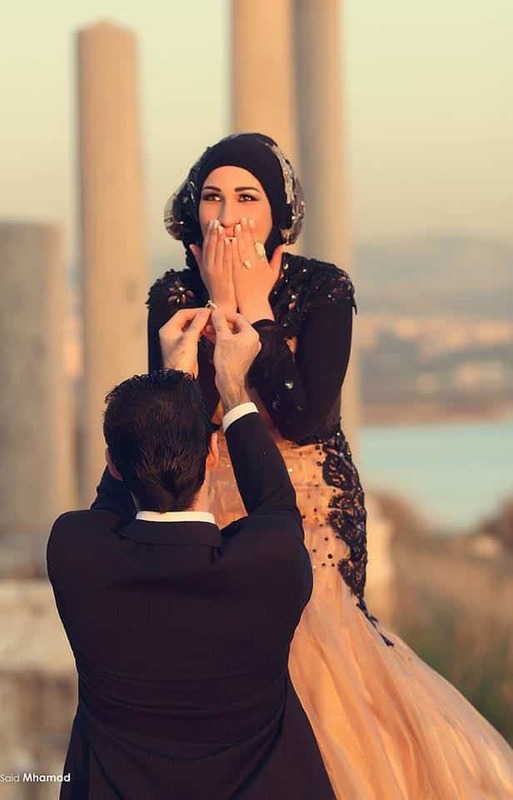 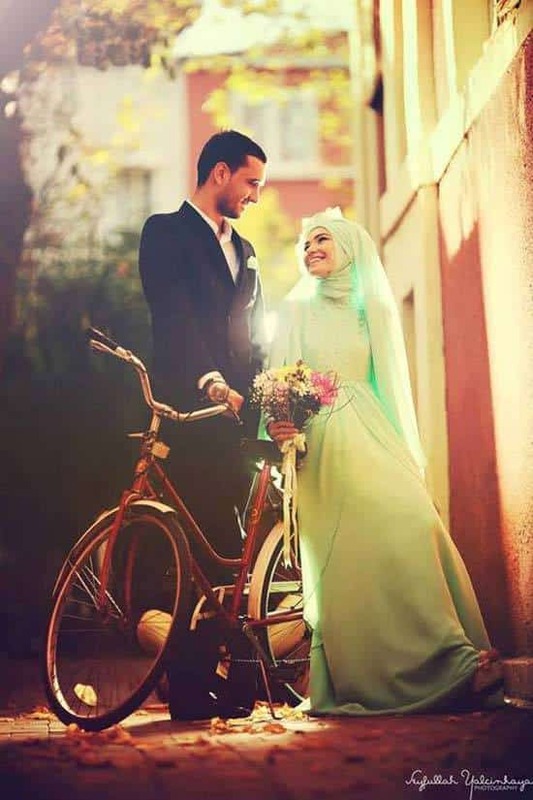 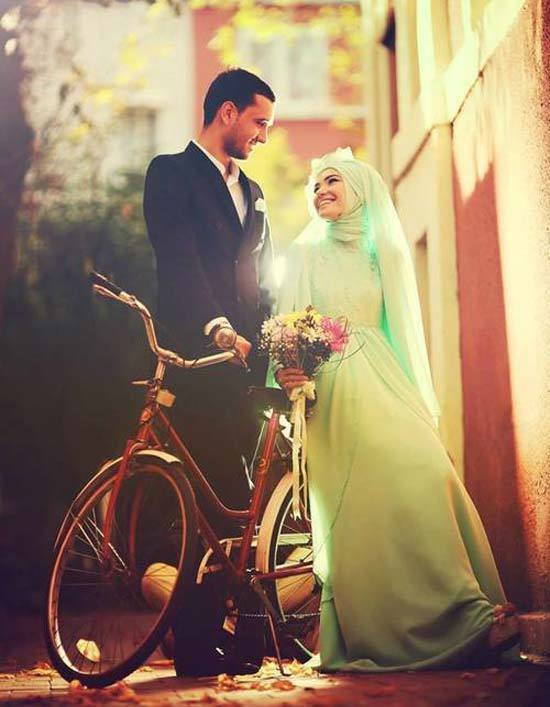 It has been noted that happy Muslim couples share certain characteristics. 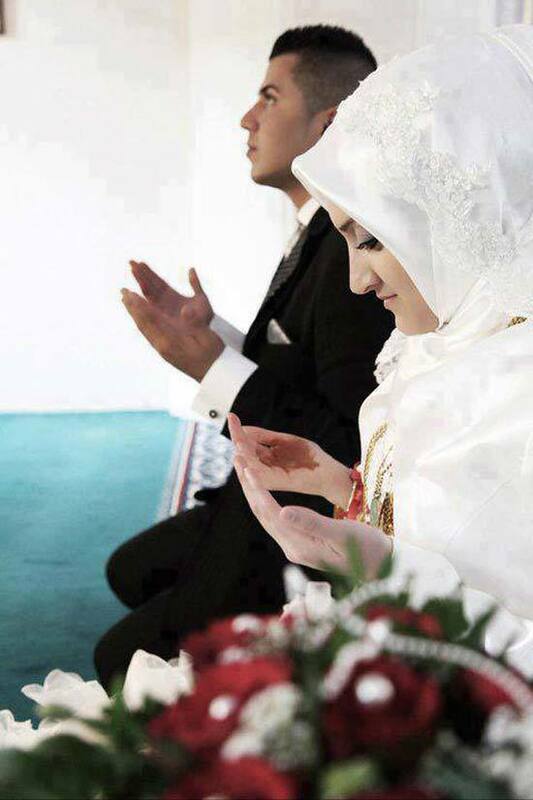 They don’t just share a physical relationship but also a spiritual one. 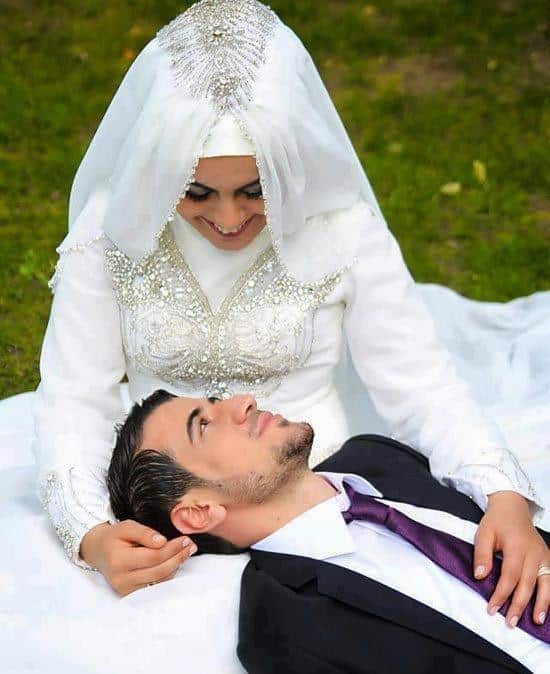 The husband and wife both perform their religious duties together such as praying and fasting so they can be together not just in this world but also in the hereafter. 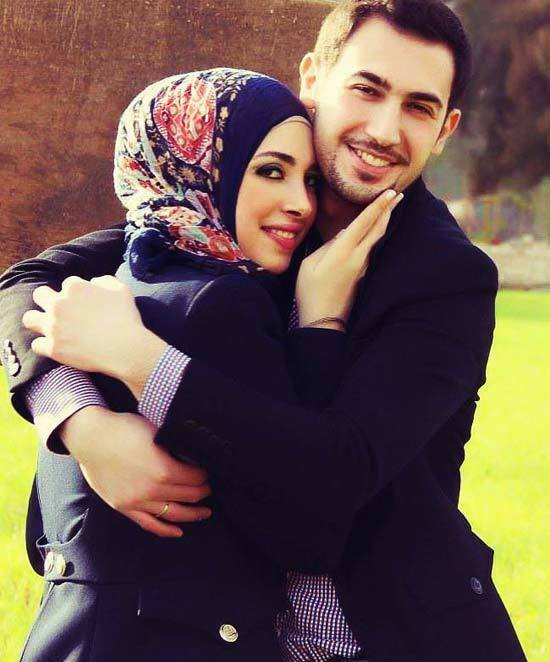 Muslim couples also don’t take each other for granted; instead, they are appreciative and thankful to Allah that He brought them together. 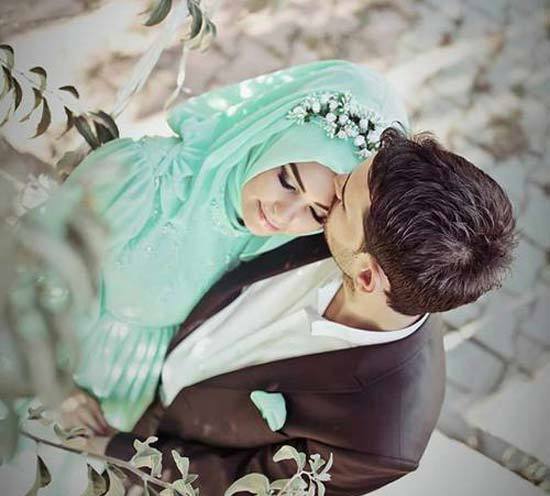 Read on to learn some more habits of happy Muslim couples. 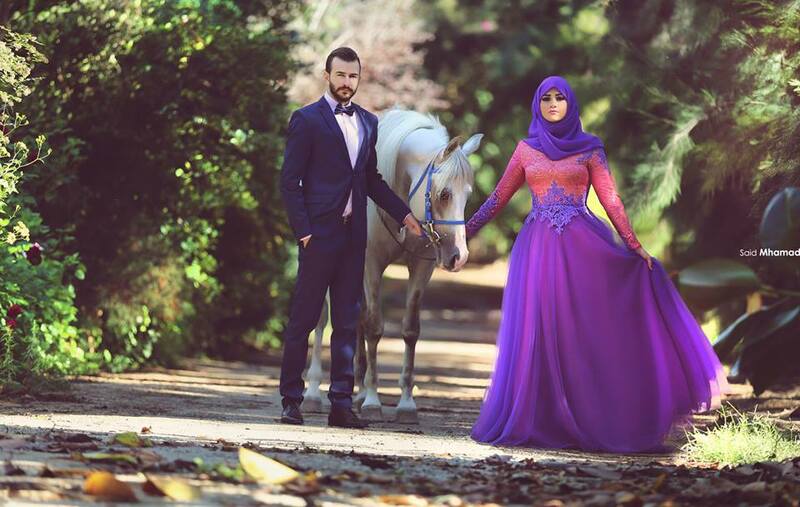 This peaceful shot turns simple greenery into a magical forest With a lovely white horse as their sidekick; the couple poses with simple elegance. 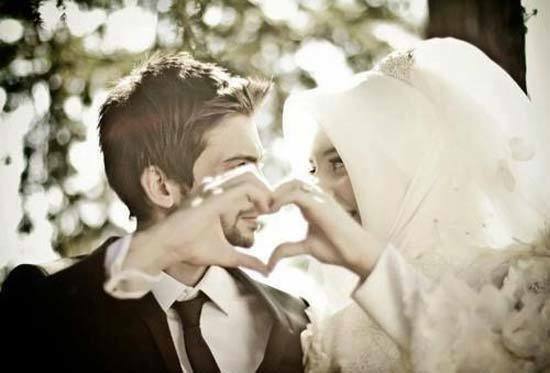 “And He has put between you affection and mercy” – 30:21, Quran. 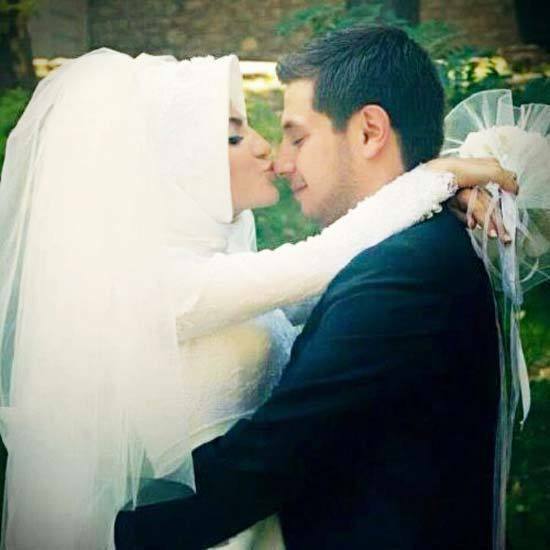 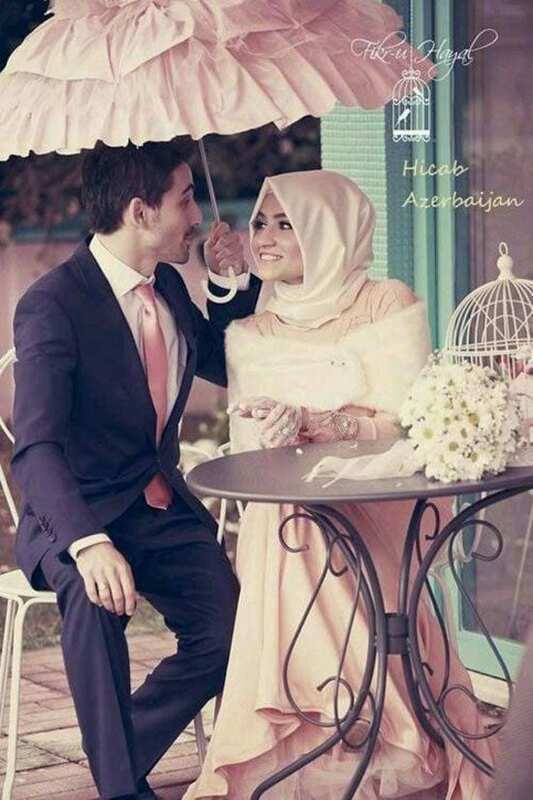 Happy and loving Muslim couples treat each other like best friends first and then as husband or wife. 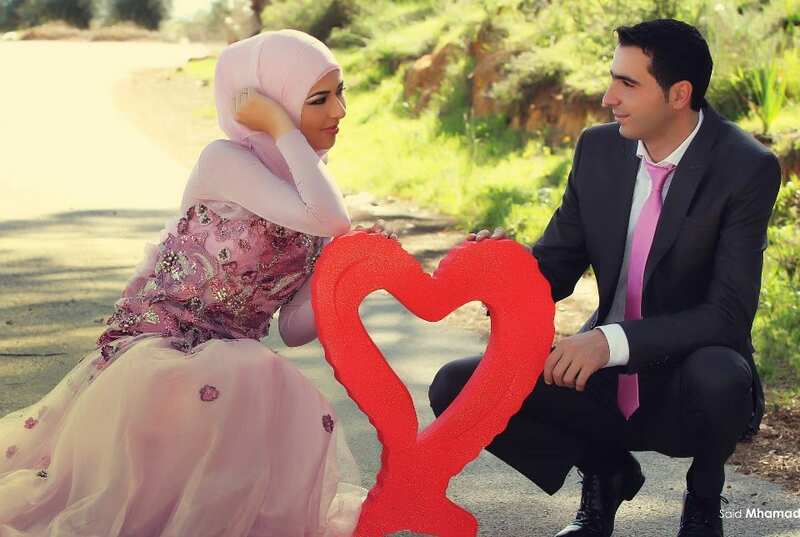 This allows them to have open communication channels and share their feelings openly. 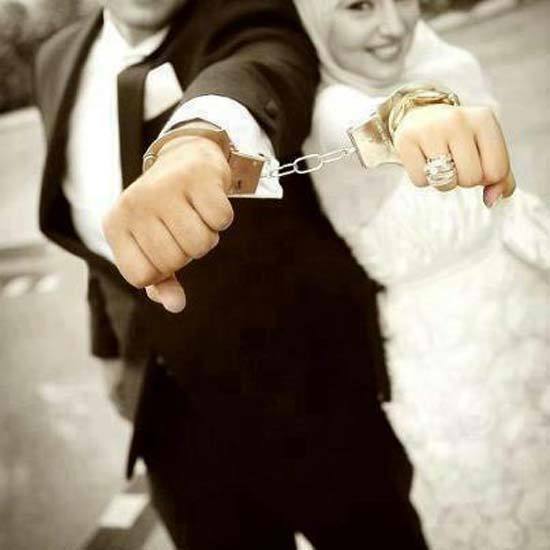 In times of happiness as well as hard times, they stick together as one. 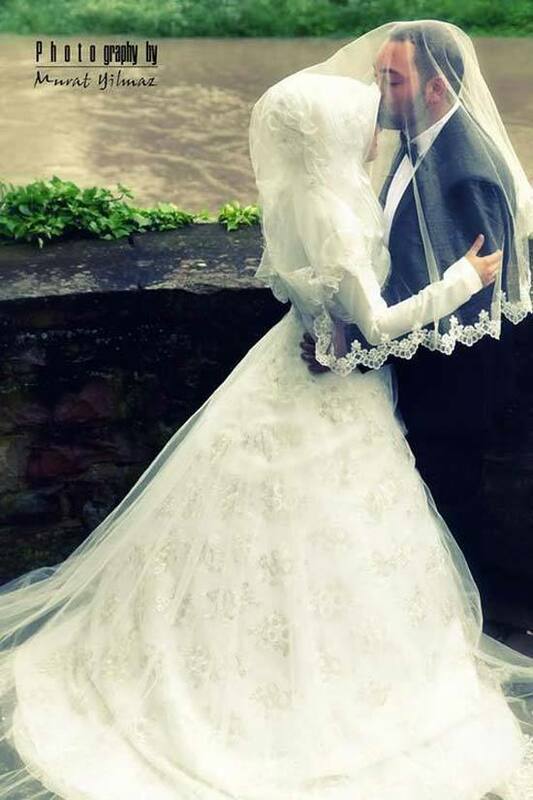 In this shot, the husband and wife capture a simple embrace on their special day. 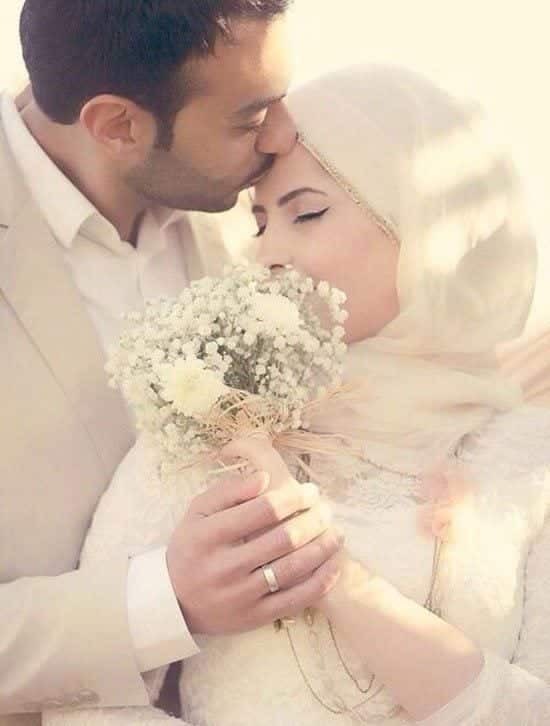 The Quran teaches Muslim men an amazing dua/supplication, instructing them to pray to Allah and ask him to make their wives and children the comfort of their eyes(Qur’an: Chapter 25, Verse 74). 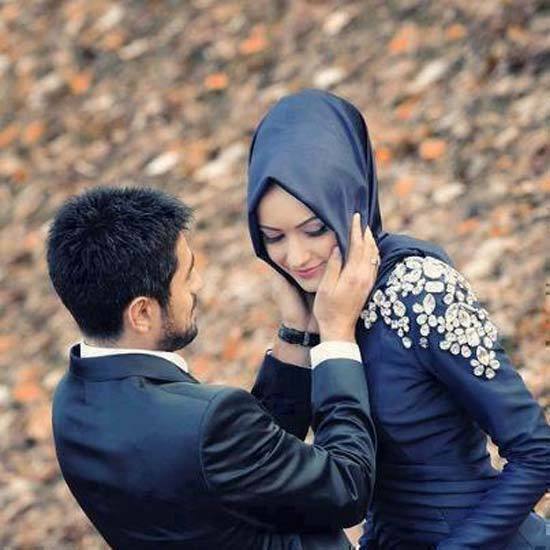 Simple acts of love such as getting dressed for your spouse, arranging a surprise gift for them or merely helping them in their daily chores can go a long way when it comes to strengthening your relationship. 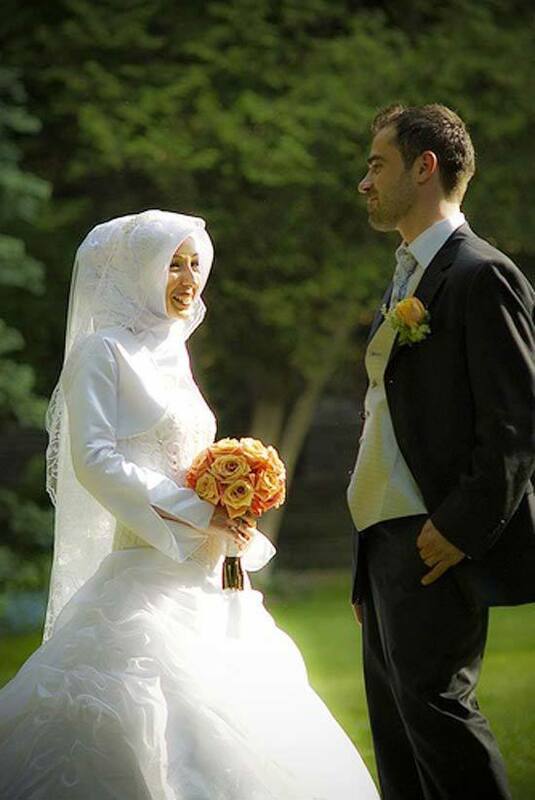 The Prophet SAW often helped his wives in their daily chores, and surely there is no better example of a Muslim man. 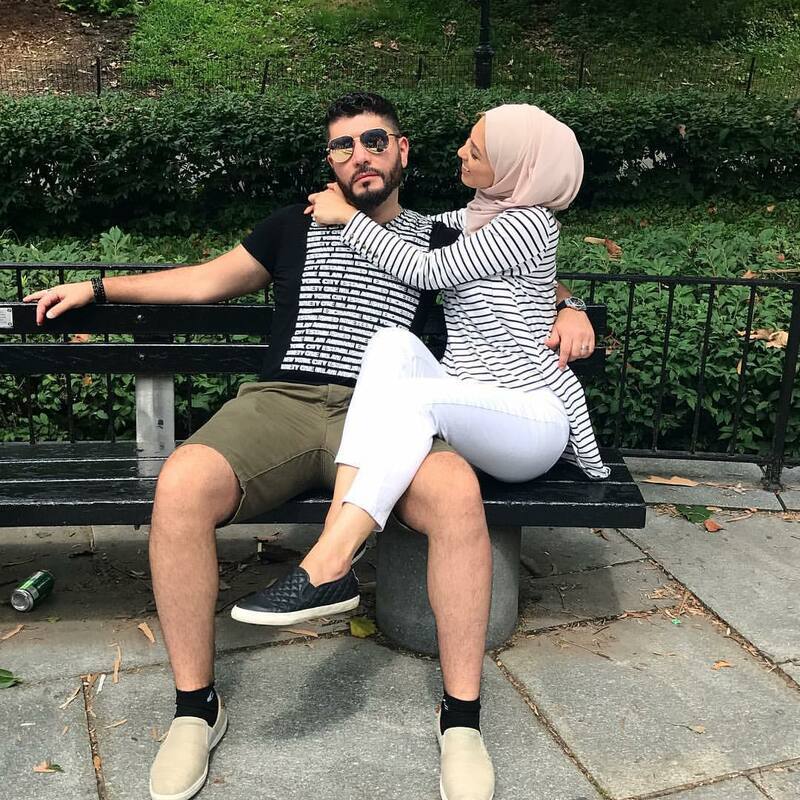 The outfits in this picture, the colour coordination, the scenery and most importantly the love in the air are what make this the perfect picture. 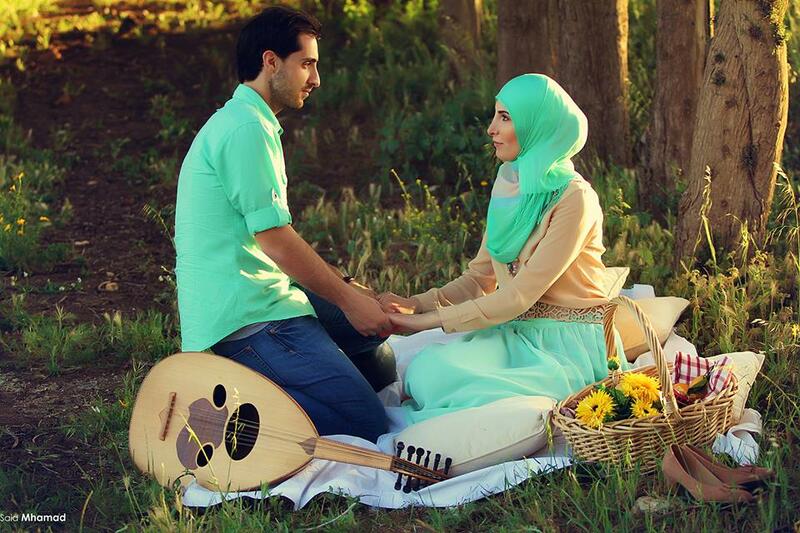 This Could be your Perfect Islamic Couple HD Wallpaper too. 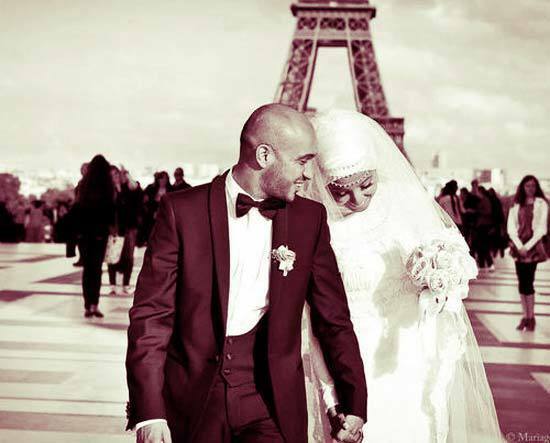 Muslim couples get married in different countries and different parts of the world. 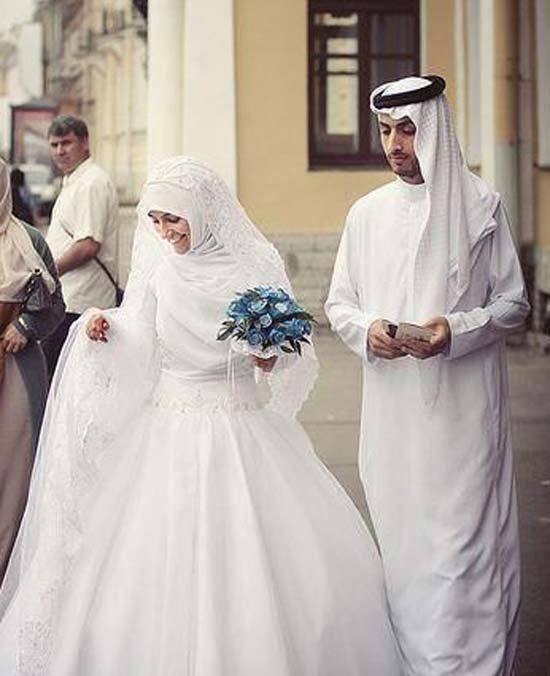 Every country has its own customs, and in some cases, several different customs exist within the same country as well. 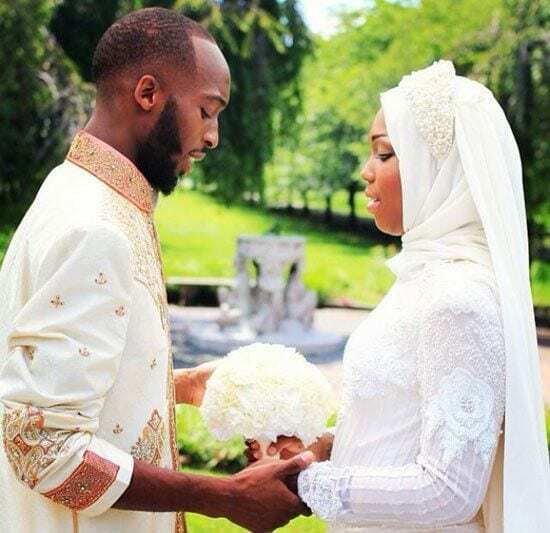 This is why we see different outfits and rituals practices in various Muslim weddings. 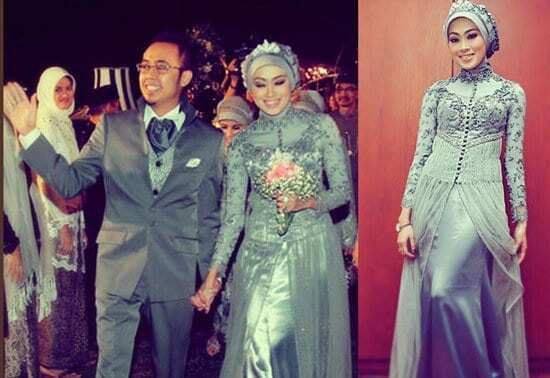 Have a look at this cute Asian Muslim couple, wearing matching grey coloured outfits. 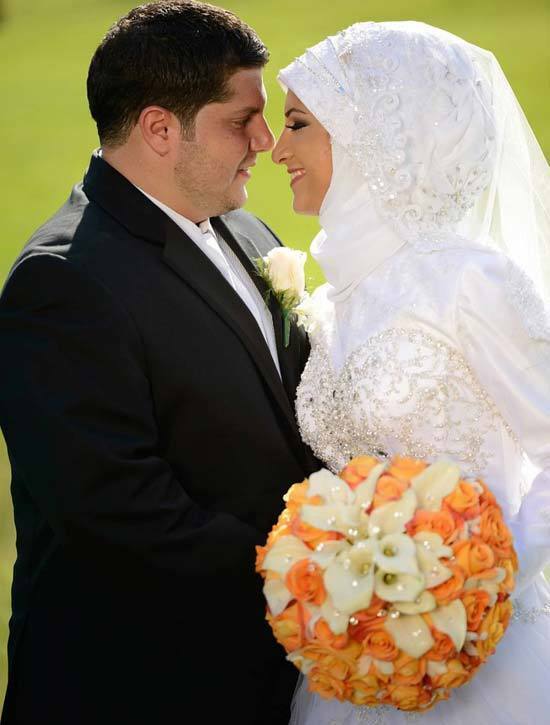 Muslim brides look beautiful with hijab no doubt, provided you have matched your outfits and makeup in proportion. 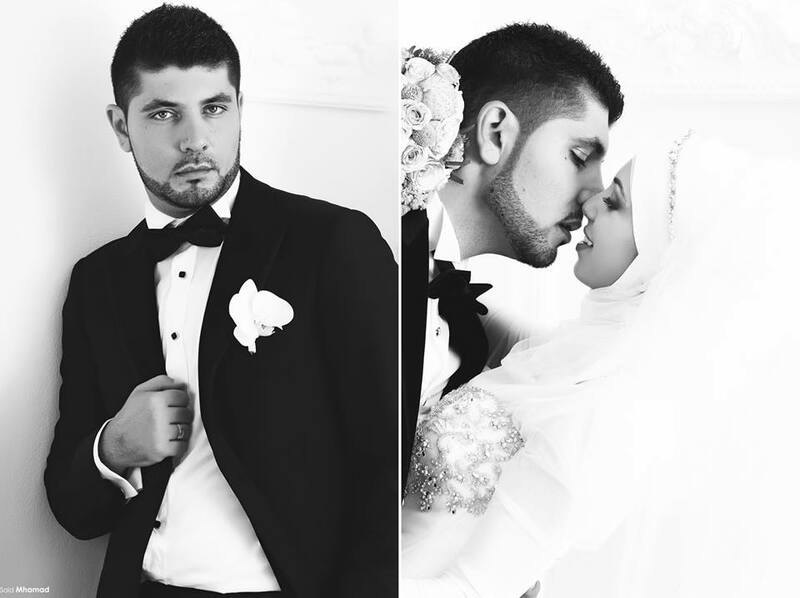 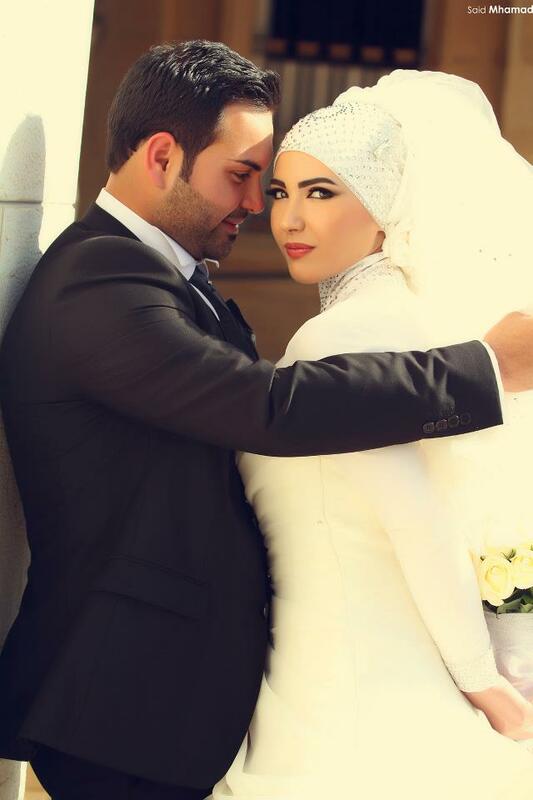 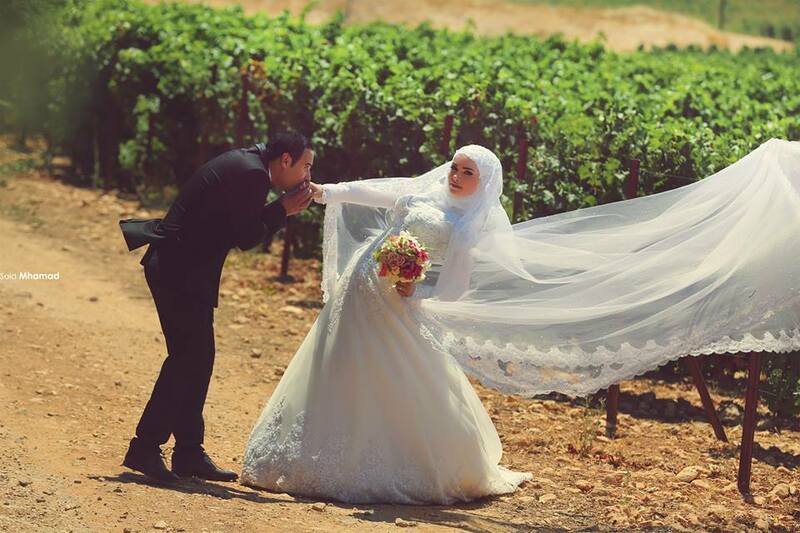 Nothing can beat the timeless white and black look, and this is true for Muslim couples as well. 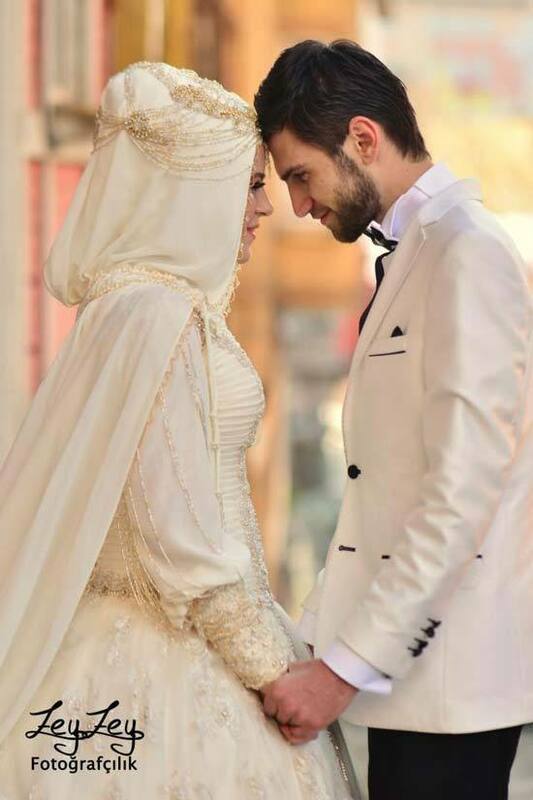 If you too want a classic outfit for your wedding, then the bride should wear a white gown while the groom should wear a black suit with a white shirt. 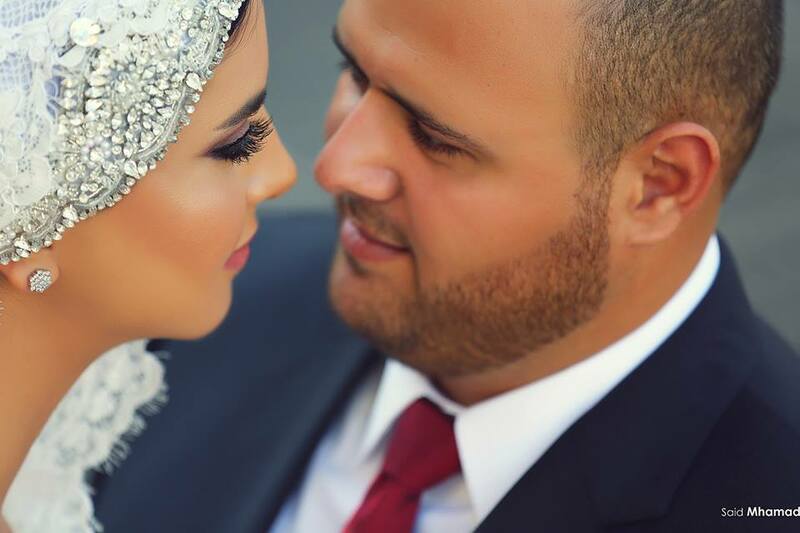 These days, tiaras, in particular, are trending and every bride looks for a unique crown for her special day. 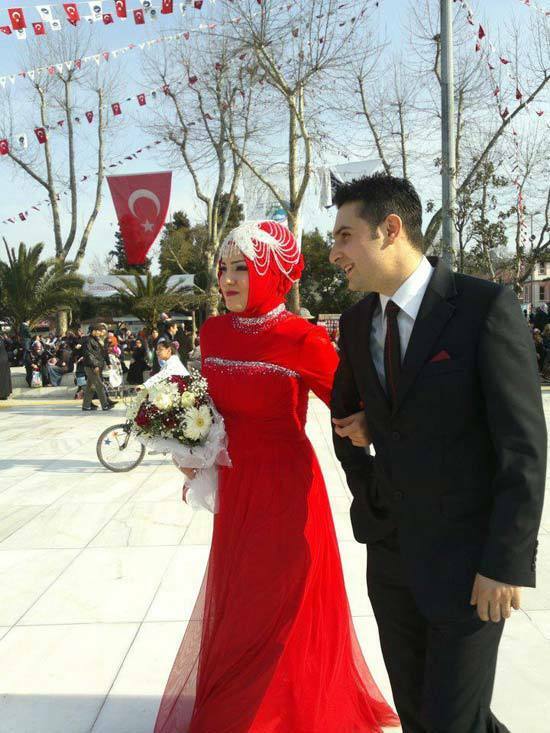 How cute does this groom look with the red bow to match the bride’s red outfit? 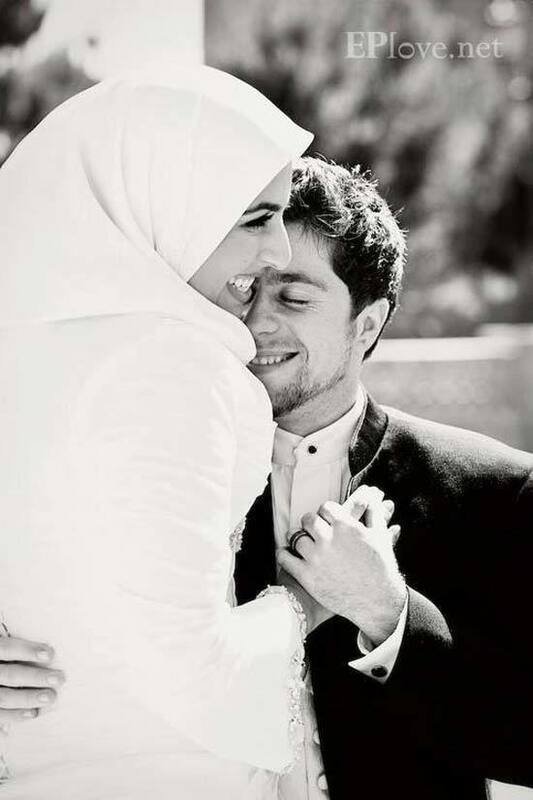 The way a Muslim wife looks at her husband can tell everything that’s in her heart. 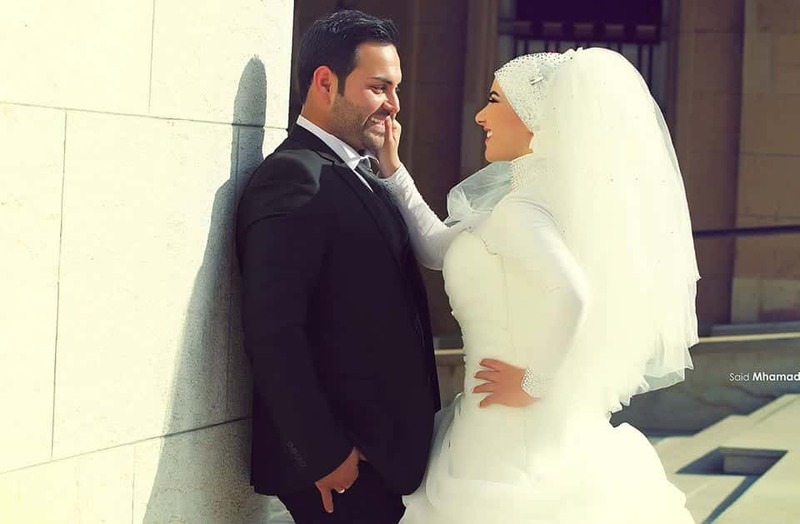 You can even say how much she loves her husband, simply by the way she looks at him. 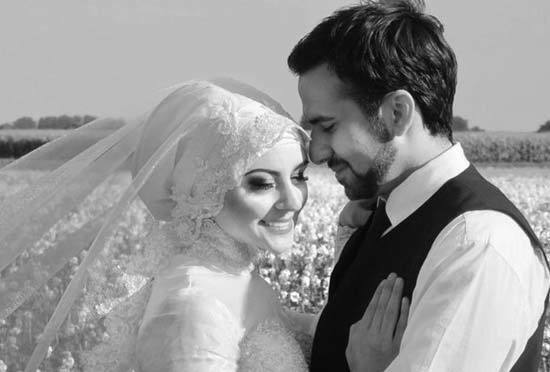 God has definitely made our destinies and chosen our spouses, but it is up to us whether we want to make this relationship a strong and loving one or not. 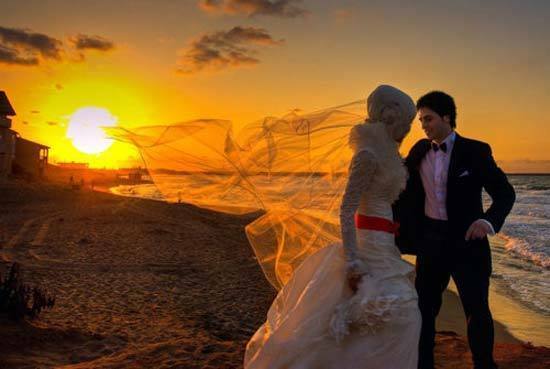 Isn’t a beach wedding simply a dream come true! 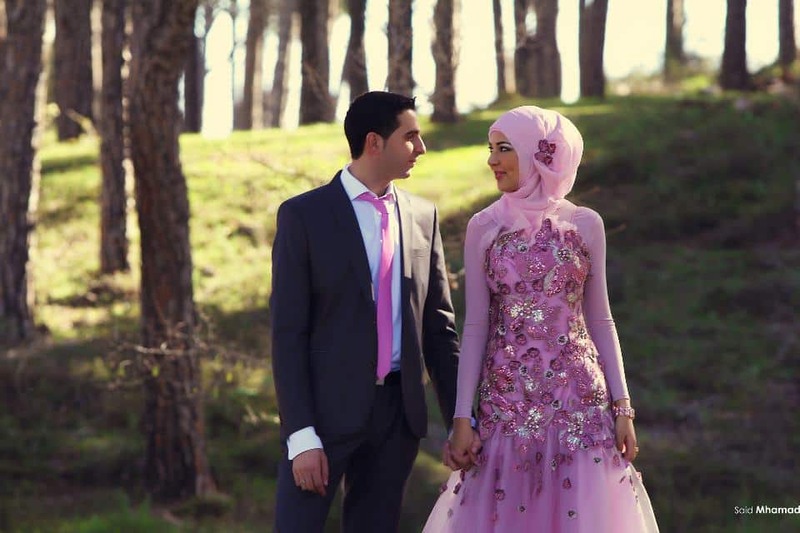 Bride and groom matching dresses on the wedding day are very common these days, and it is also an excellent idea to color coordinate your dresses. 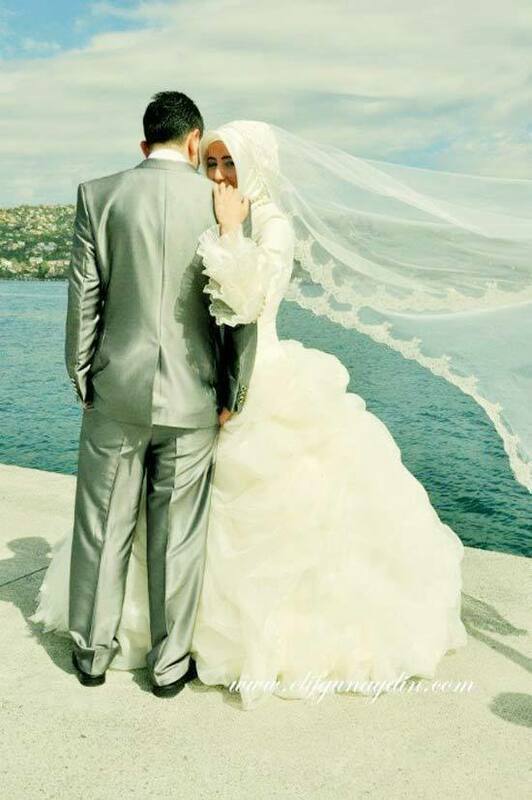 Not only it looks good in pictures, but it also looks very pretty in real life. 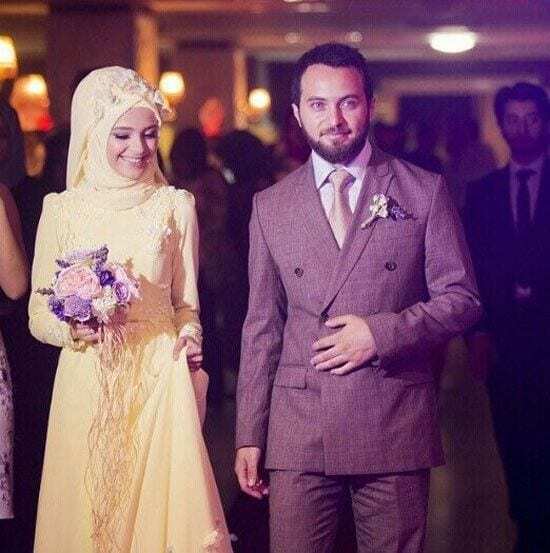 The bride should wear dresses in such colours that should be easily wearable for grooms. 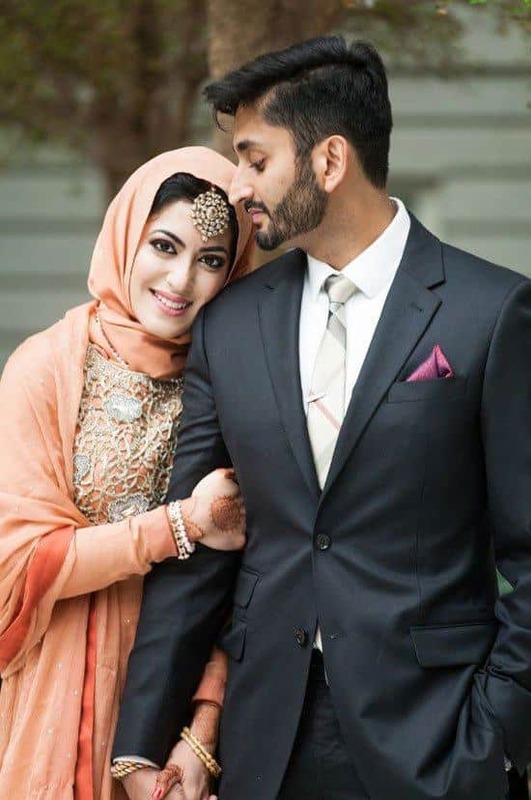 If you are going to wear a deep red colored dress on your wedding dress, then make the groom wear a dark colored suit with a deep red tie. 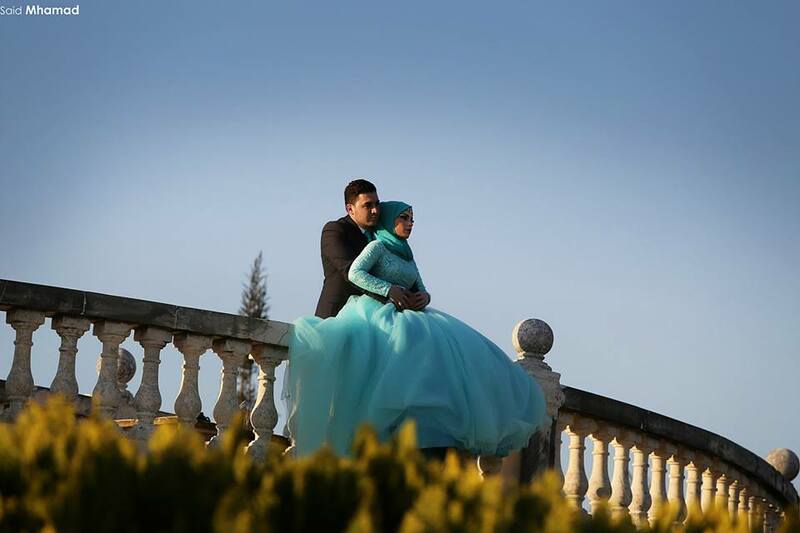 Aqua blue is an ideal color for weddings. 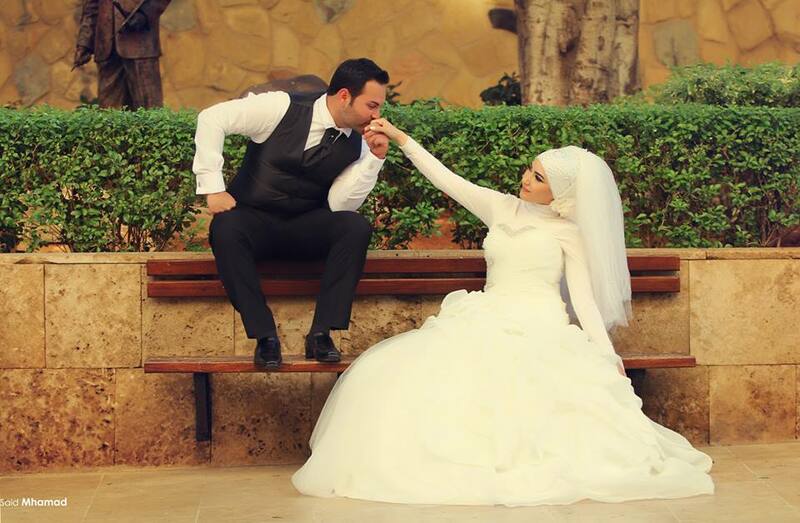 It is not only soothing to look at but also looks gorgeous when the bride and the groom wear them. 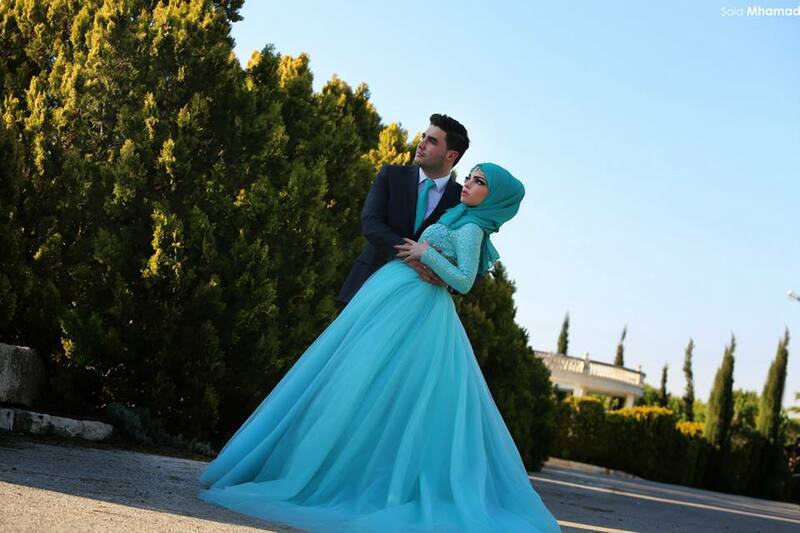 If your favorite color is sky blue, then wear it on your wedding day and make your groom wears a matching tie with a white shirt. 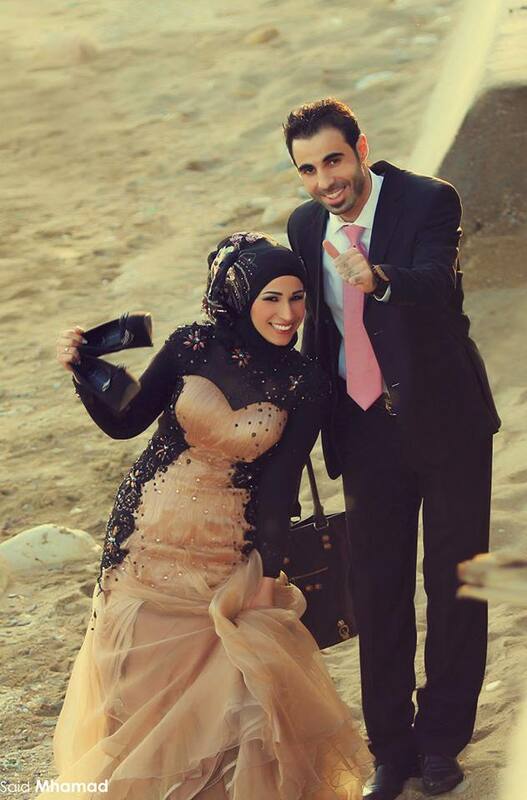 This way you both will look perfect in the pictures. 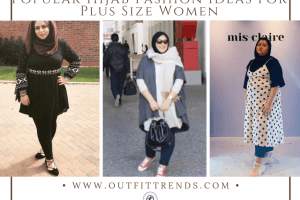 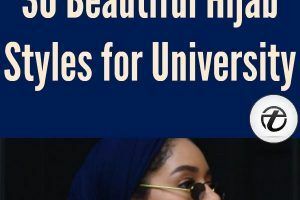 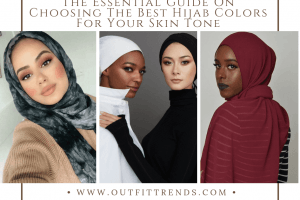 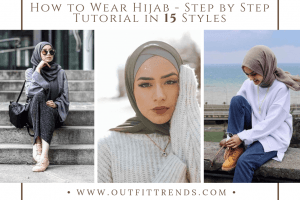 You can follow our hijab & Abaya fashion to stay updated with Muslimah fashion trends. 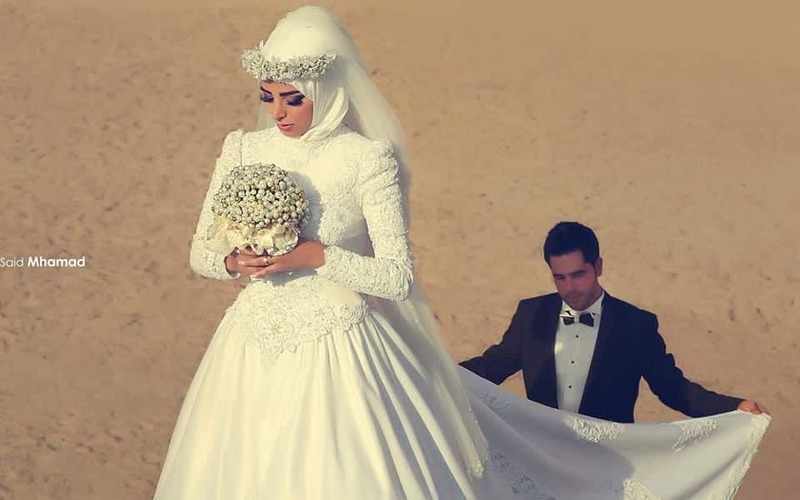 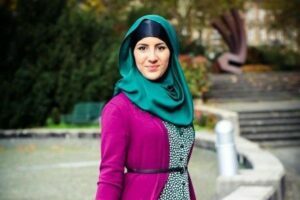 How should a Muslim girl dress up on her marriage to look glamorous? 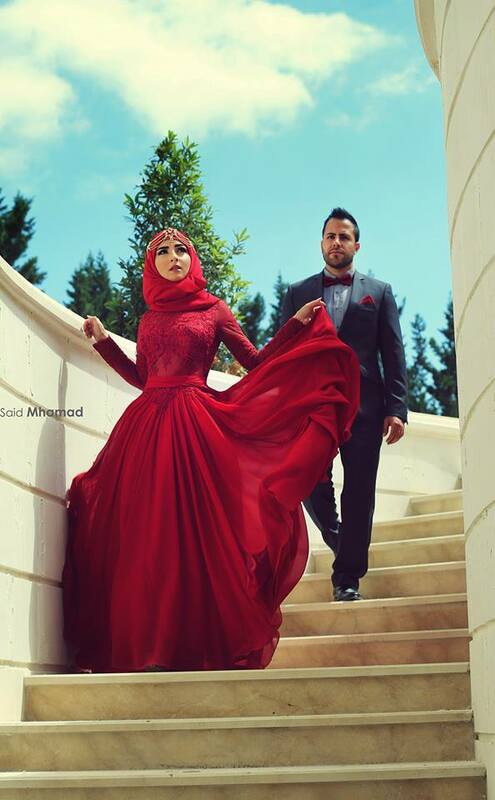 Groom and bride dress matching ideas? 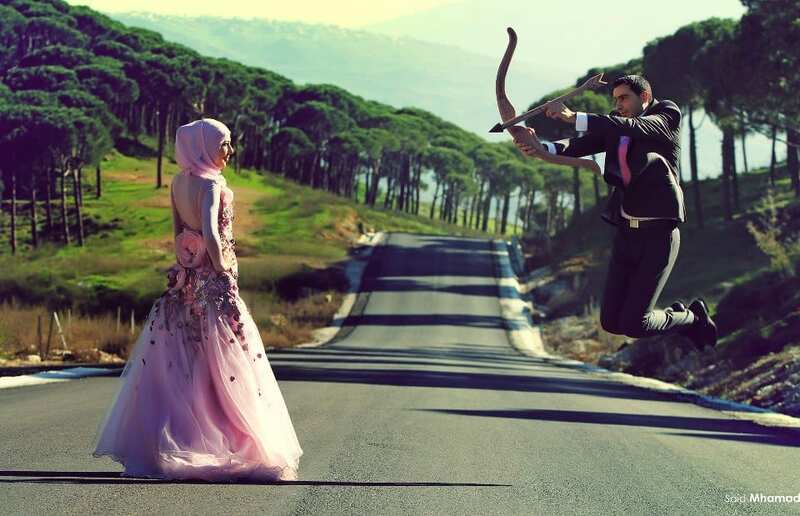 Ideas for romantic wedding poses with the groom? 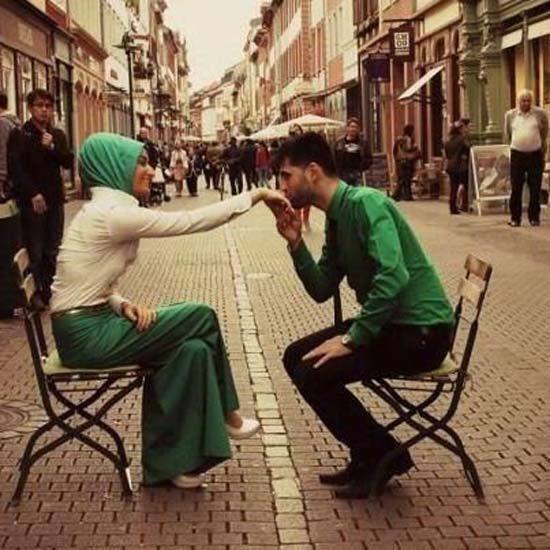 Find the answer to all your questions. 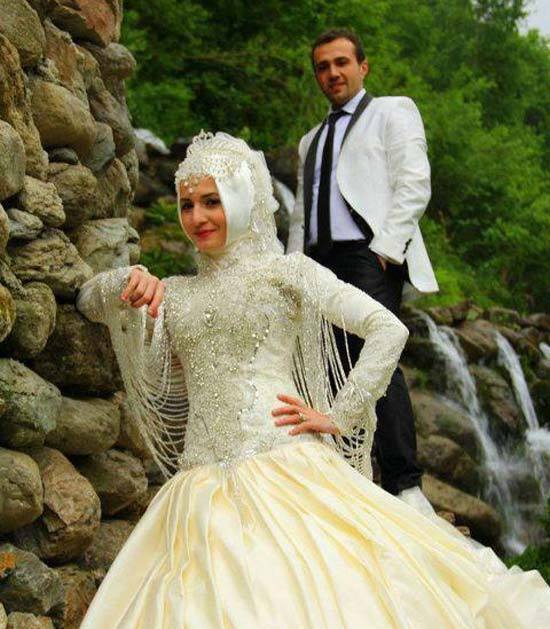 For those brides who don’t want to wear traditional heavy wedding dresses, they can wear something that is formal. 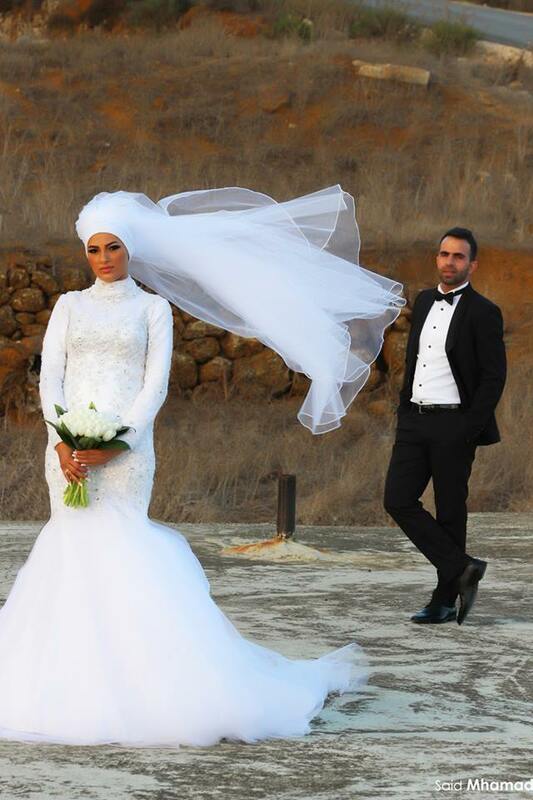 Because at the end of the day, it is your wedding day and you can wear anything that makes you comfortable. 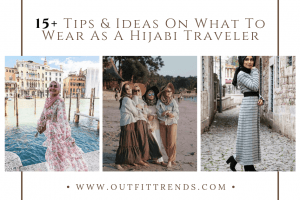 You can go for a casual maxi dress and pair it up with a matching or contrast hijab. 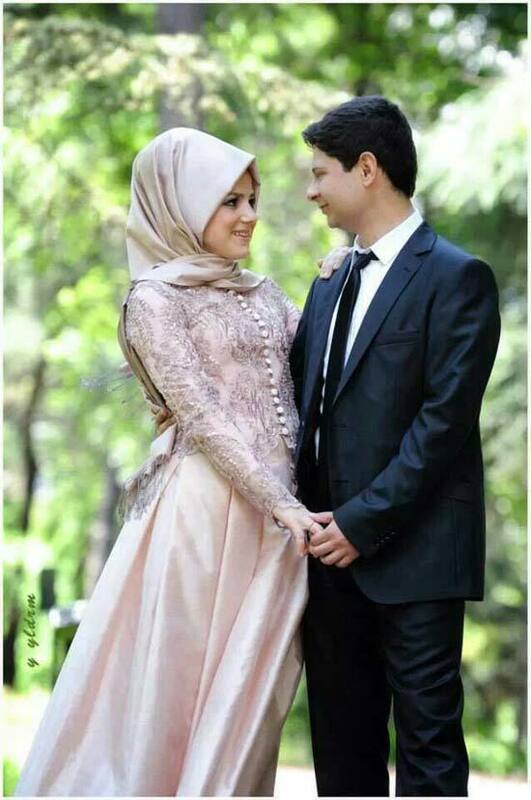 If your groom also doesn’t like to wear two piece suit, then he can wear regular jeans with a shirt in the same color as your dress. 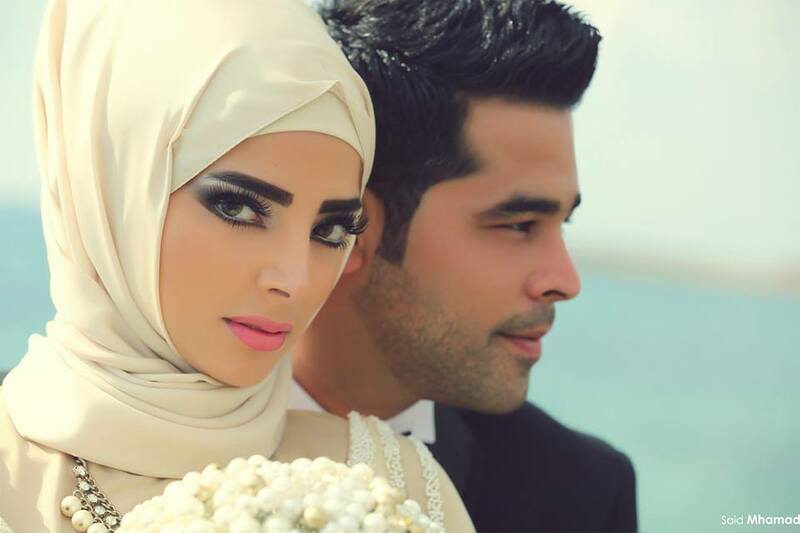 Light brown is such a beautiful colour for brides to wear. 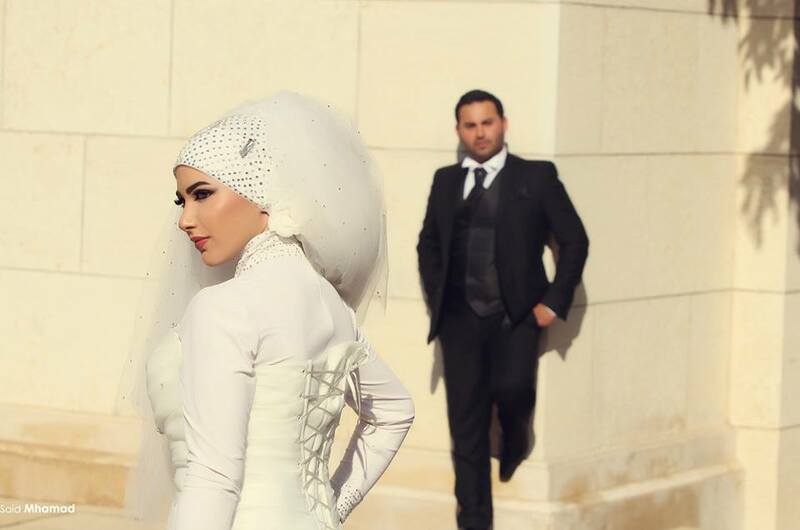 It is unique and that is why everyone will remember your dressing on your wedding day. 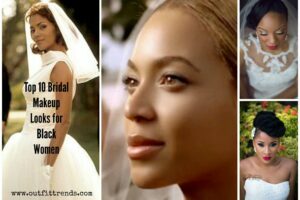 Buy a wedding dress that has a combination of light brown and black in it, or get a customised one from any dresses store. 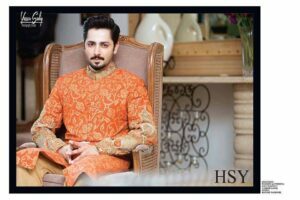 To match this, the groom can wear a black suit with black shirt and add a light brown tie. 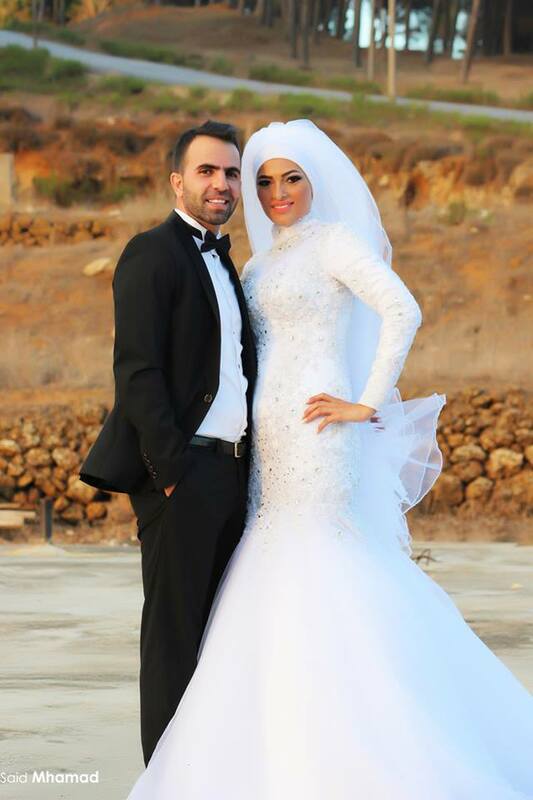 The White wedding dress is and has always been in fashion irrespective of any religious marriage. 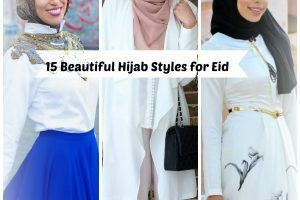 But with regards to Muslim engagement or wedding function where if women prefer to wear hijab then the white dress is the best choice. 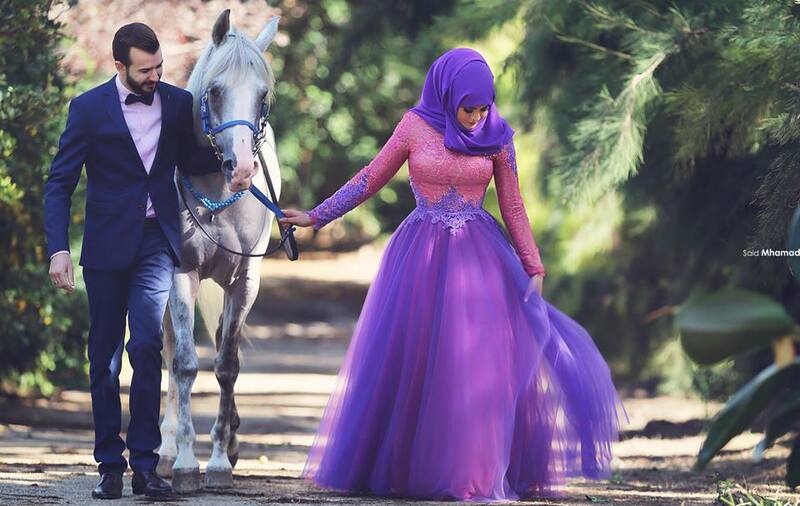 Who doesn’t love purple color? 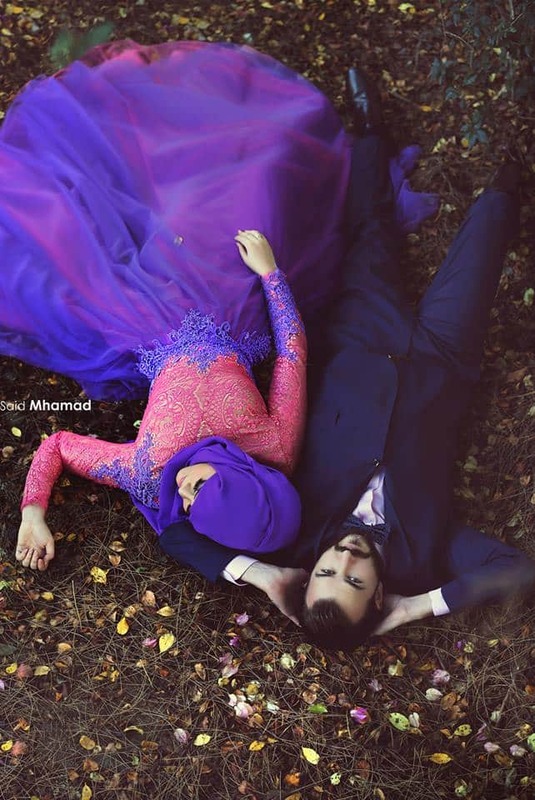 And who would not love to wear a purple colored dress at their wedding? 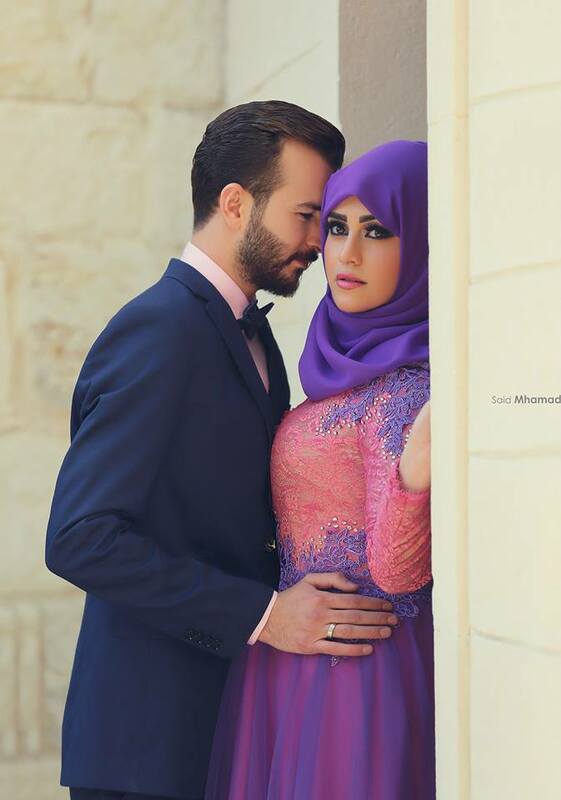 Look for a bright purple maxi dress. 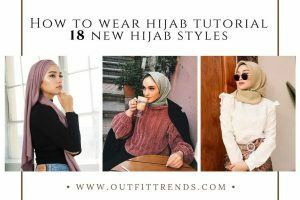 If you can’t find one that is modest, then you can wear a purple fitted t-shirt to match the outfit and to cover yourself. 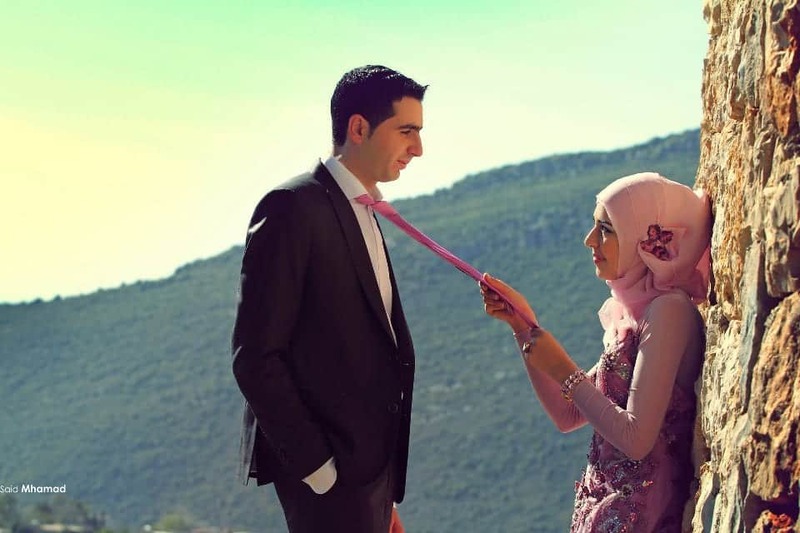 Also, don’t forget to make your groom wear a purple tie. 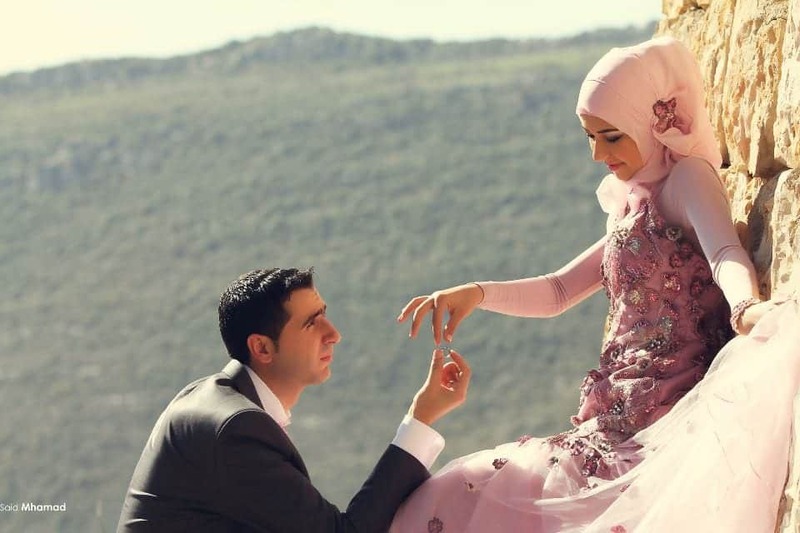 Pink has always been a favourite wedding gown colour. 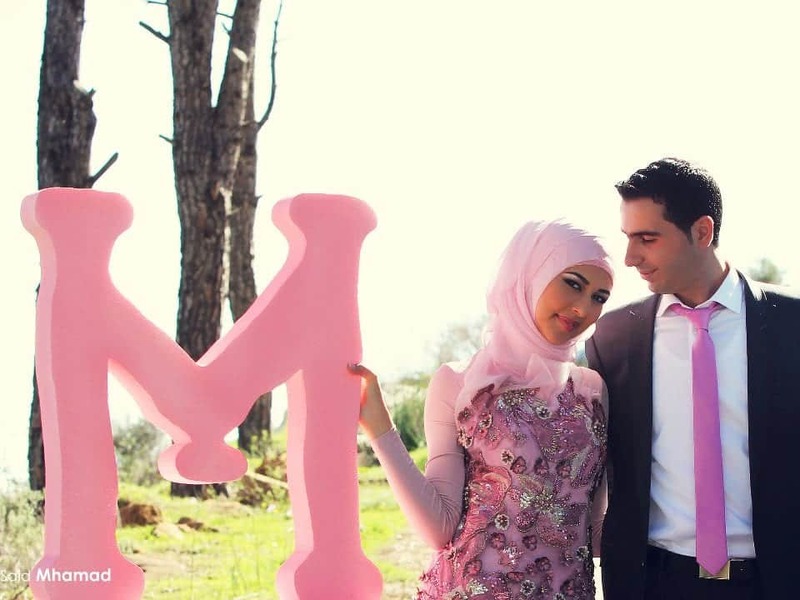 Try a pink wedding dress with hijab for your special day. 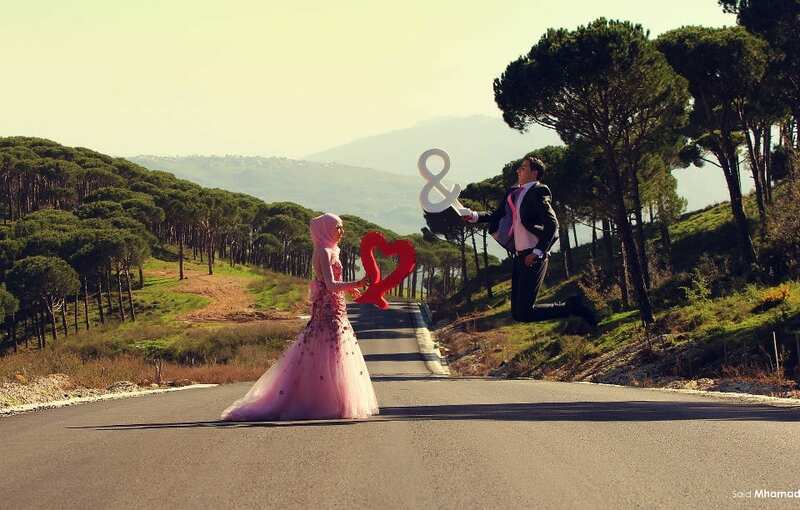 Try these photos shoot ideas for your big day. 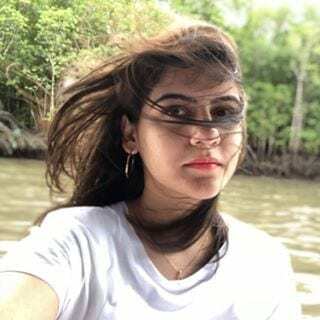 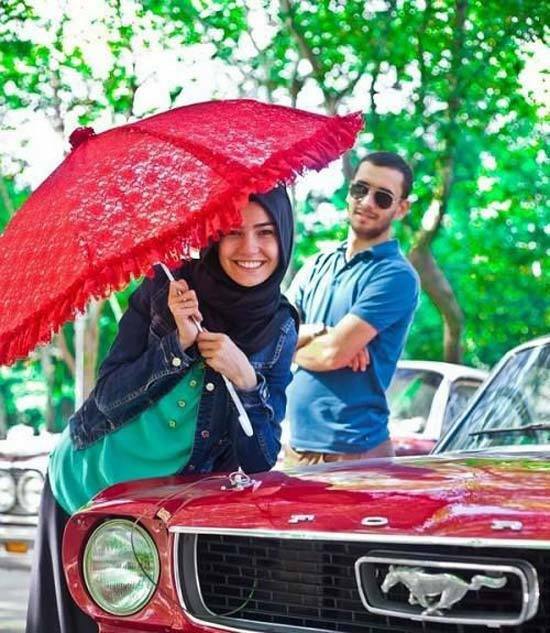 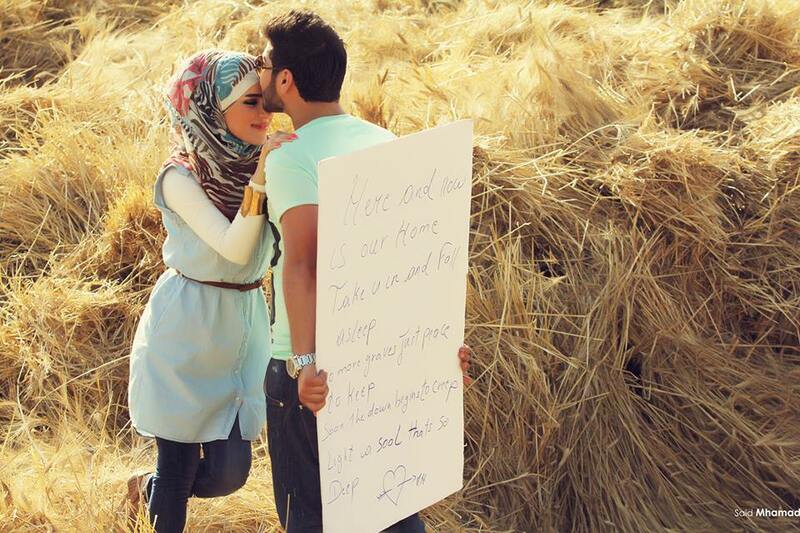 Cute Hilal Photoshoot ideas. 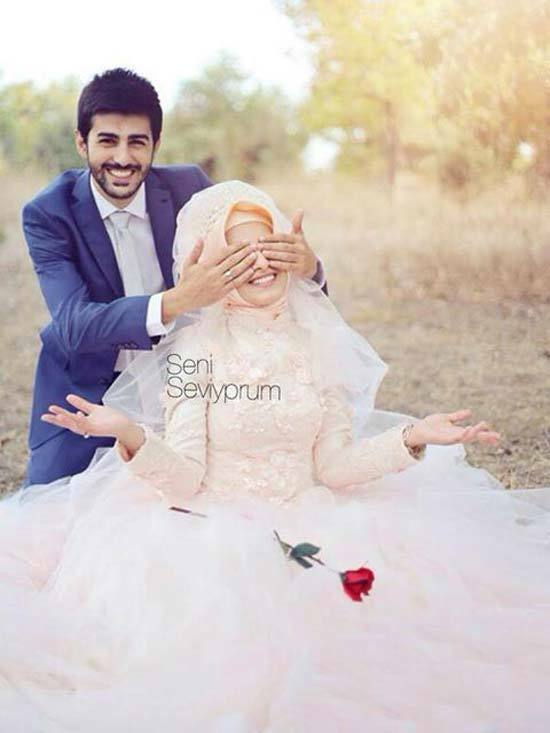 Isn’t this too cute? 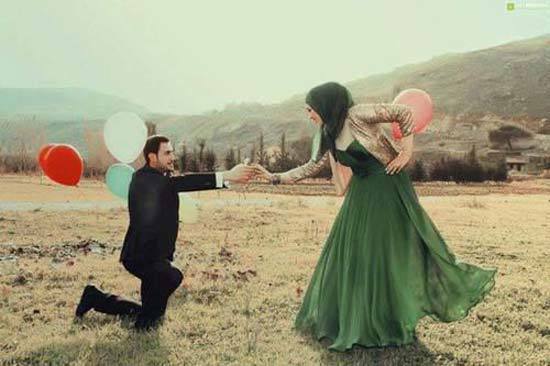 This next dress is for those couples who have a strong love for the dark green color. 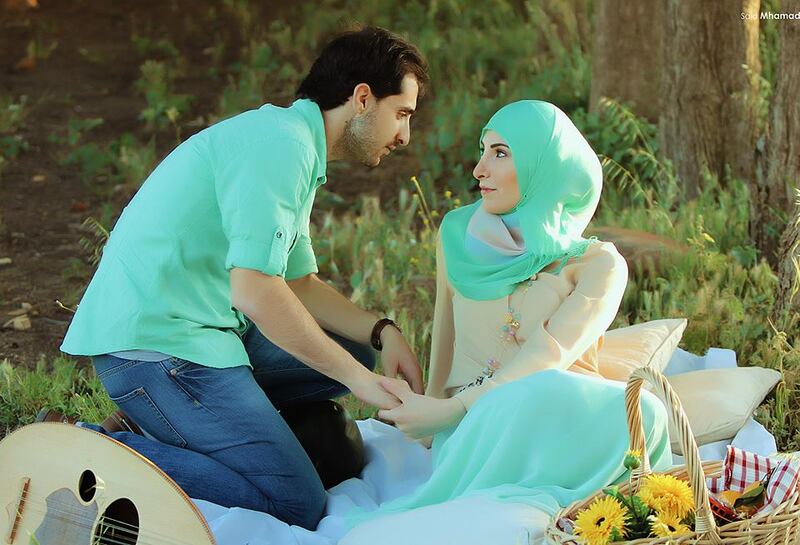 Green color looks perfect on brides as well as on grooms. 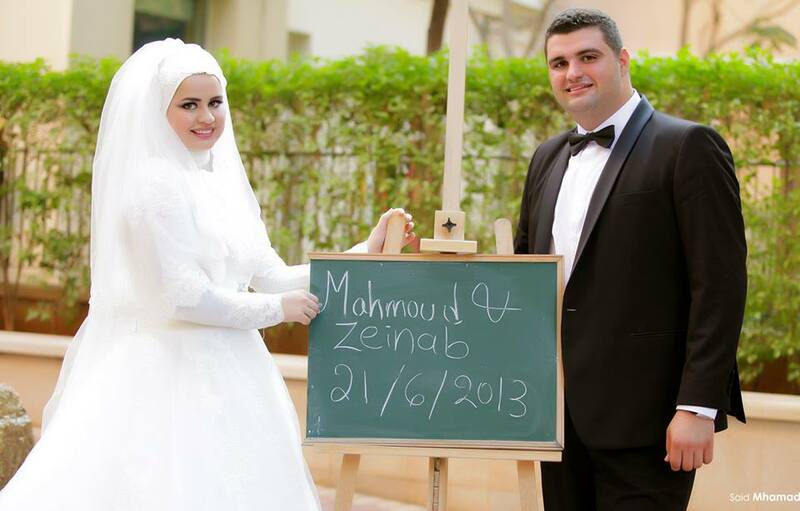 Your groom can wear a green dress shirt with black suit pants. 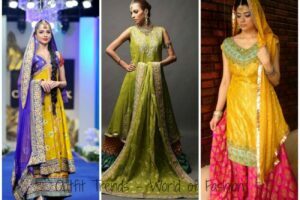 Brides can wear any green maxi or any other green traditional dress. 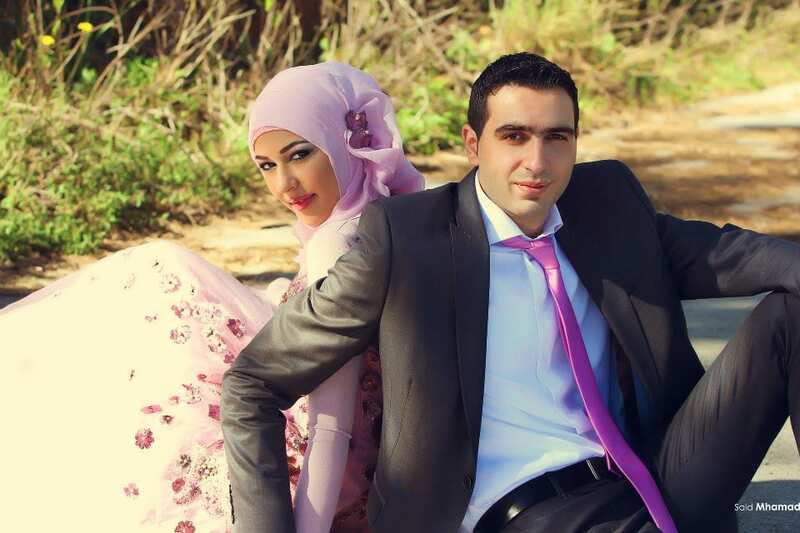 The best way look like a perfect couple on your wedding day is to wear contrasting colors. 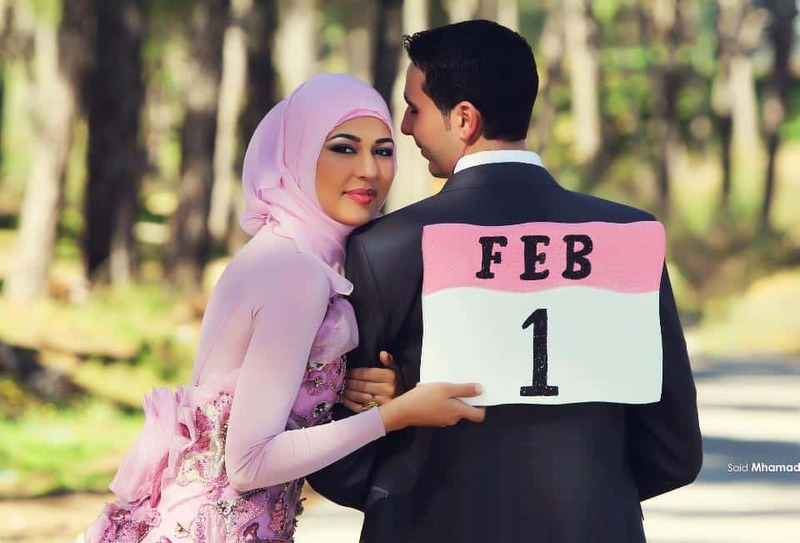 You can wear a striking magenta color with black details. 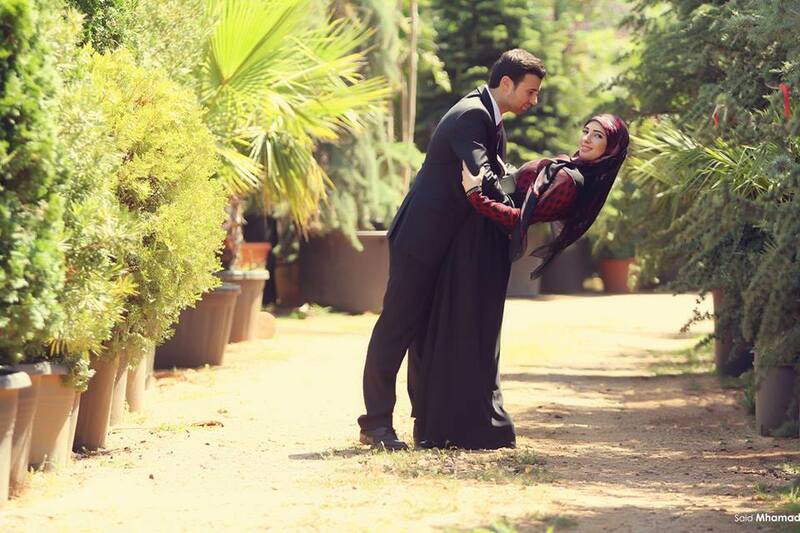 For contrast, let your man wear a black two-piece suit. 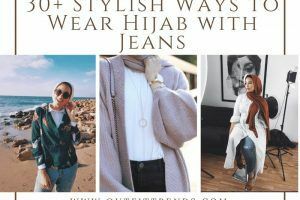 If you still feel like you need a better link between your outfits to put just a hint of your outfit’s color in his. 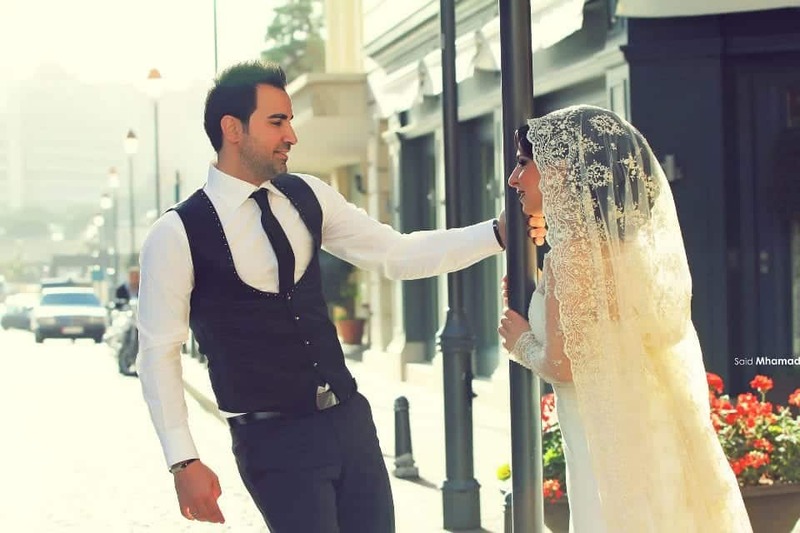 For example, his tie or pocket square can be of the same color as your dress. 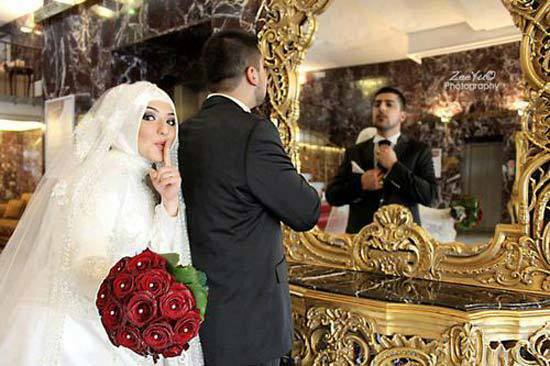 Showing intimacy to public, is this Islam way? 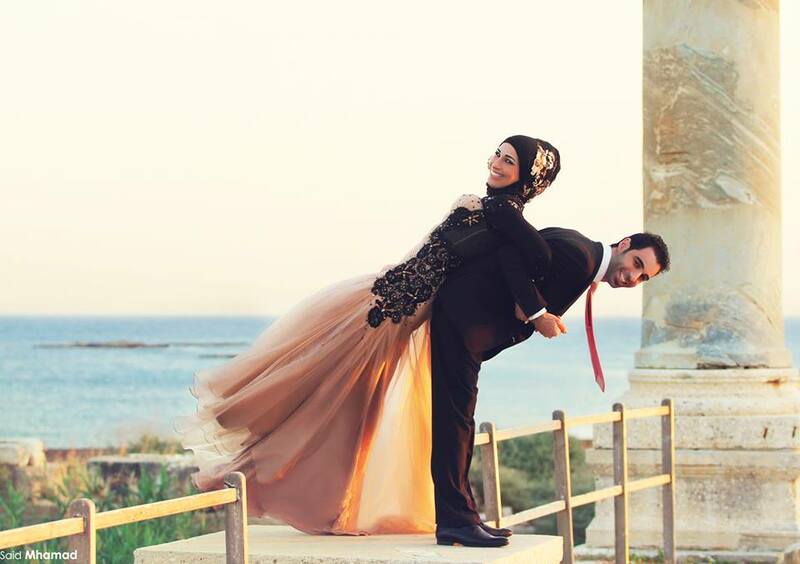 all pictures are really very cute… it’s all are amazing..